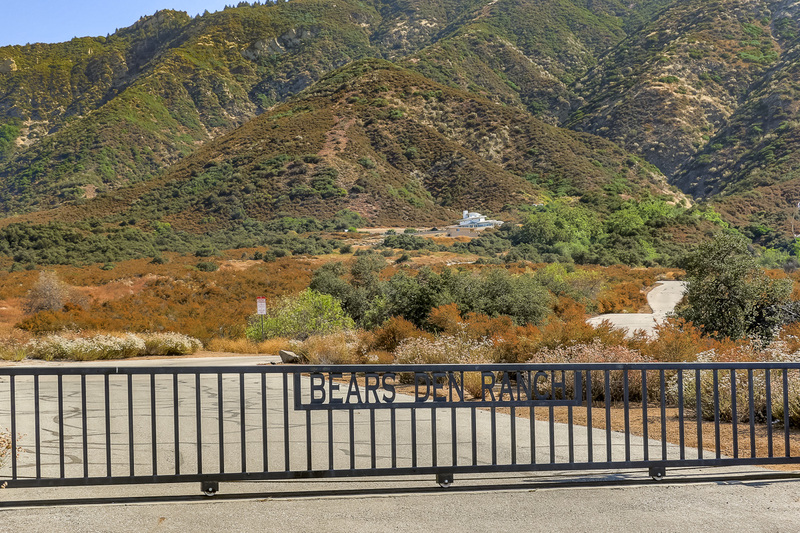 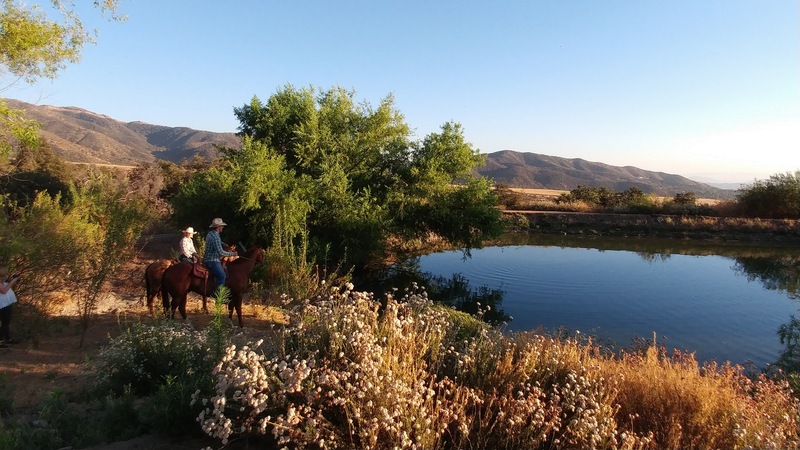 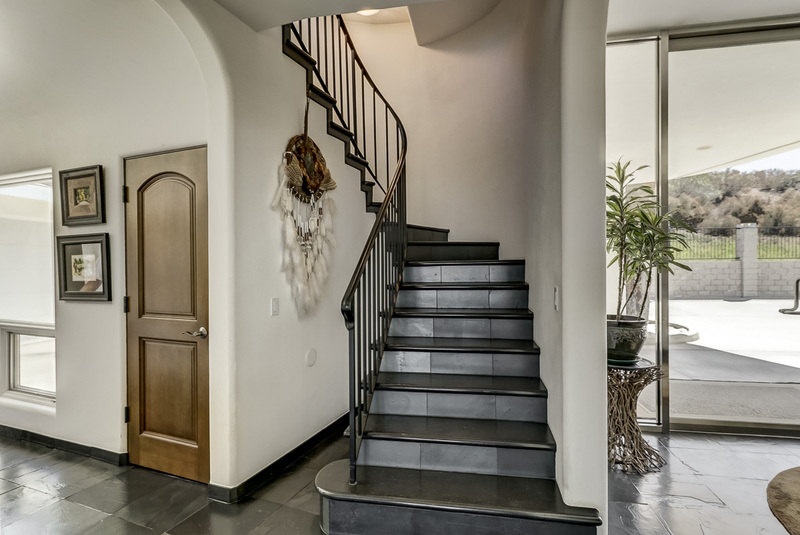 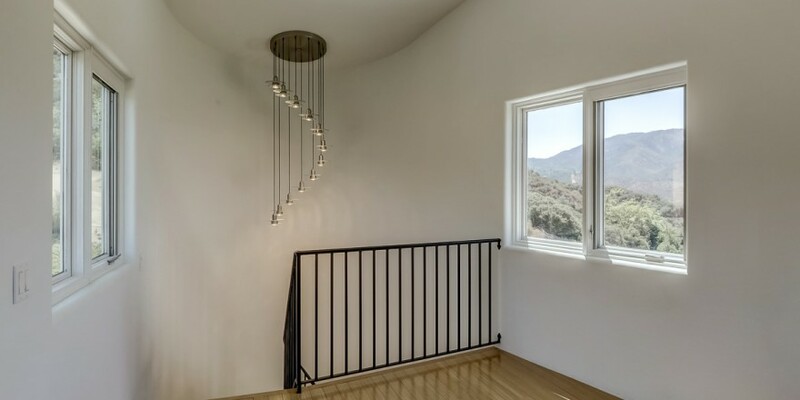 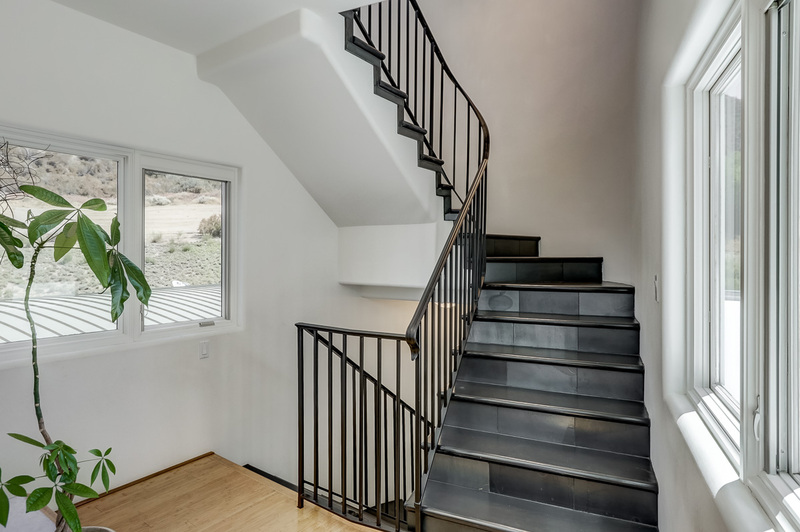 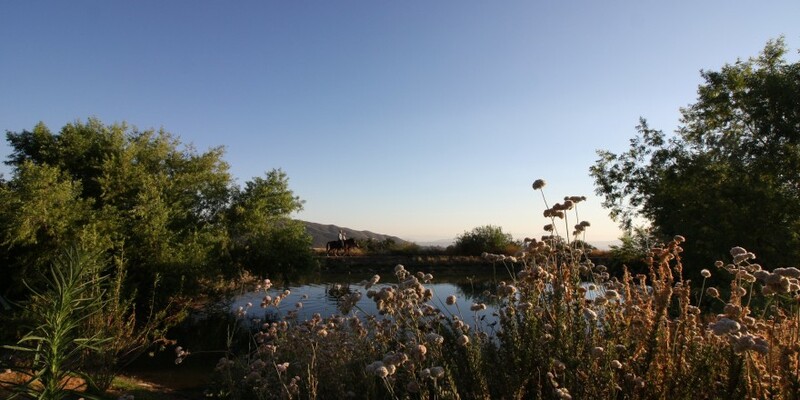 At Bears Den Ranch, nestled within the San Bernardino National Forest, you will find yourself at a crossroads where an elegant contemporary lifestyle meets the beauty of nature. 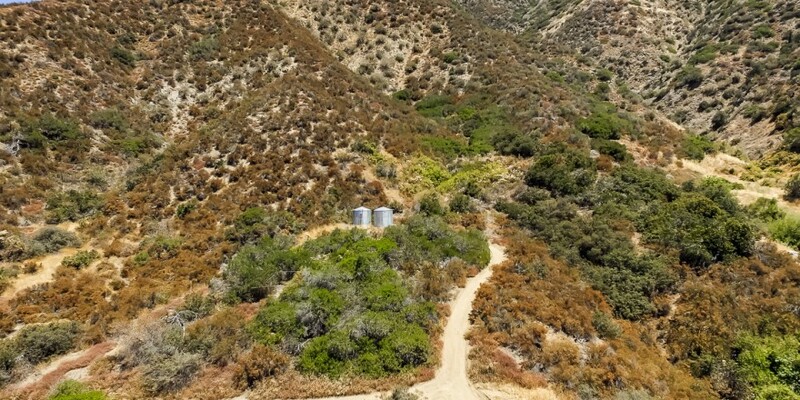 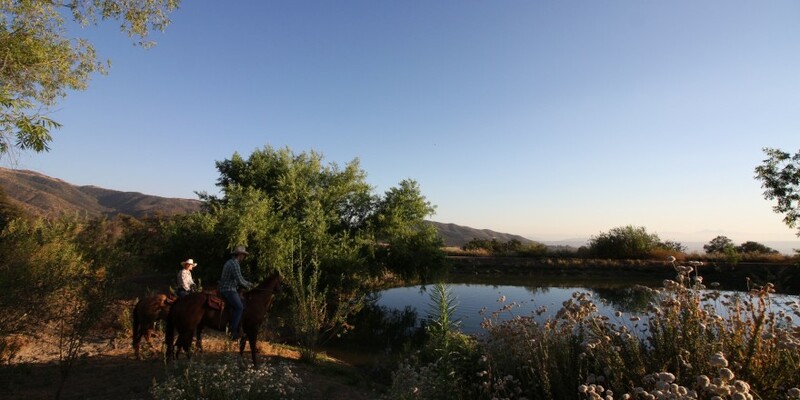 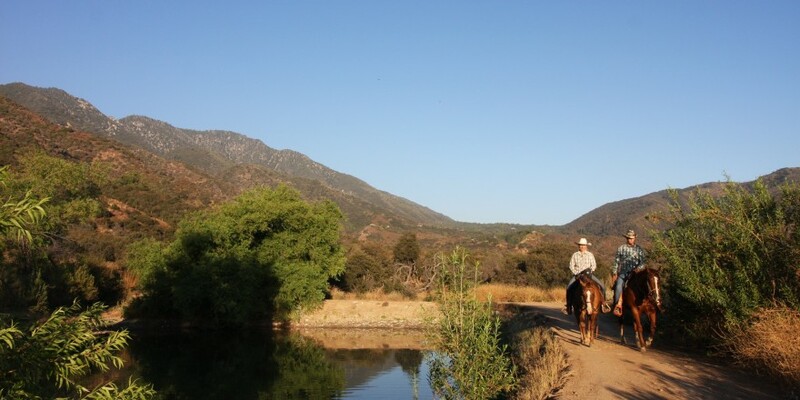 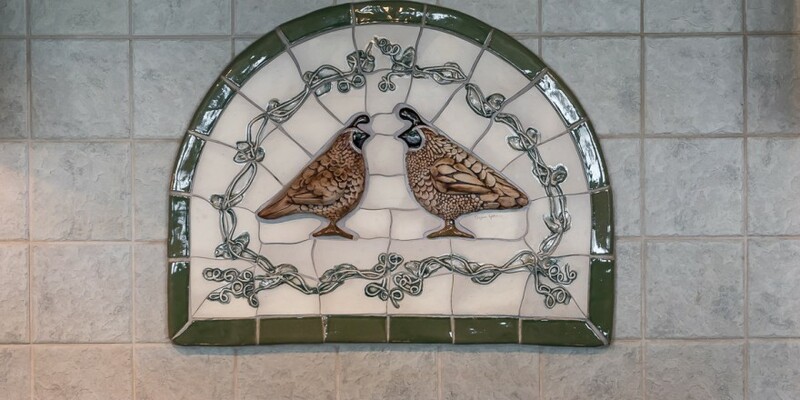 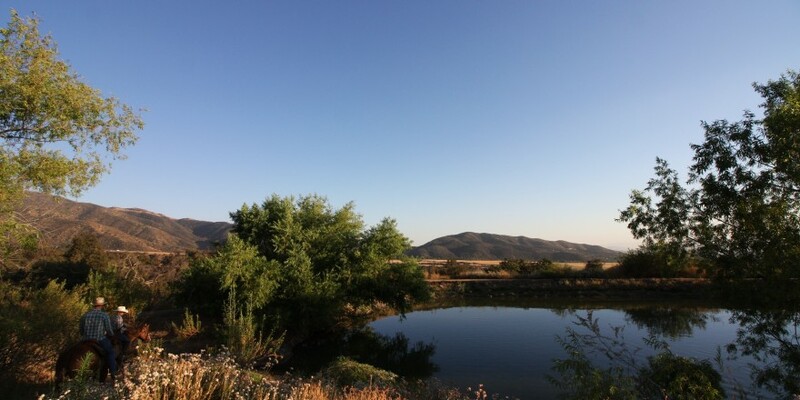 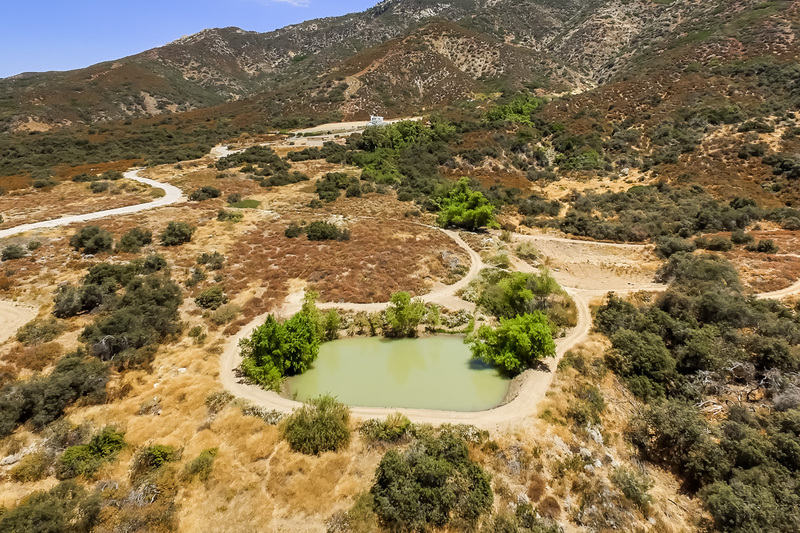 This peaceful 160-acre property extends half a mile in both directions. 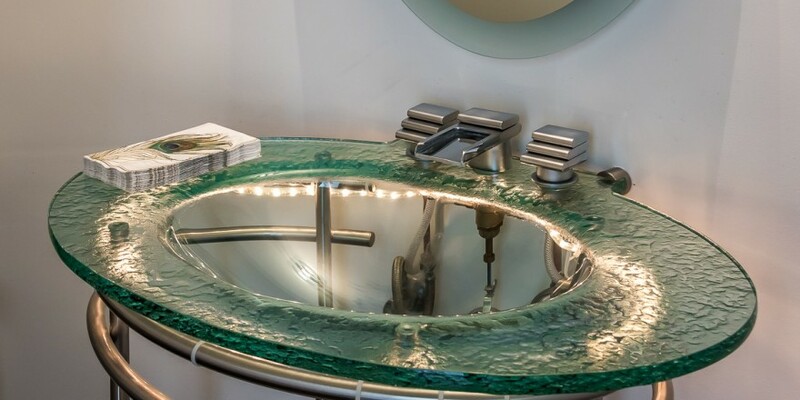 It is simply an extraordinary find. 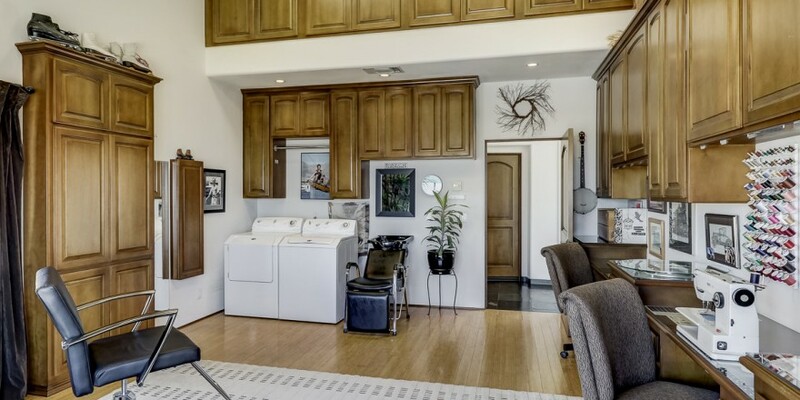 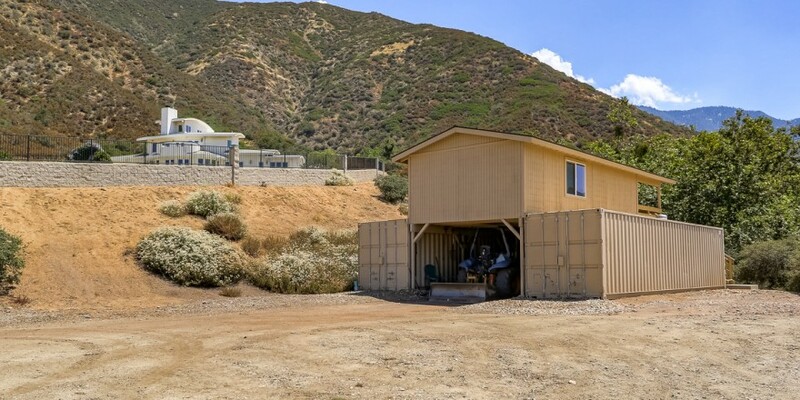 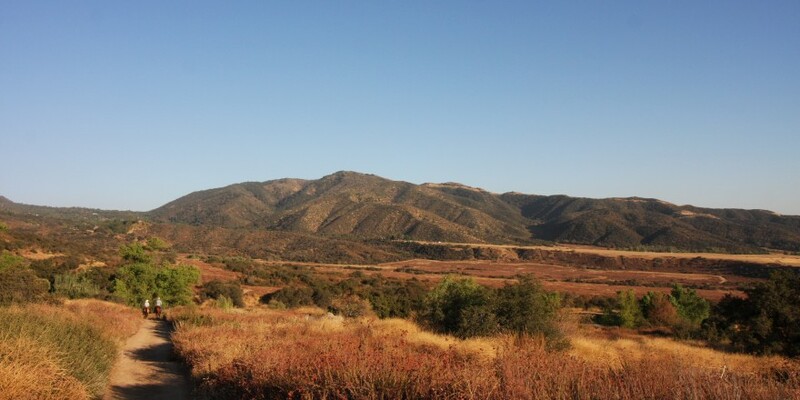 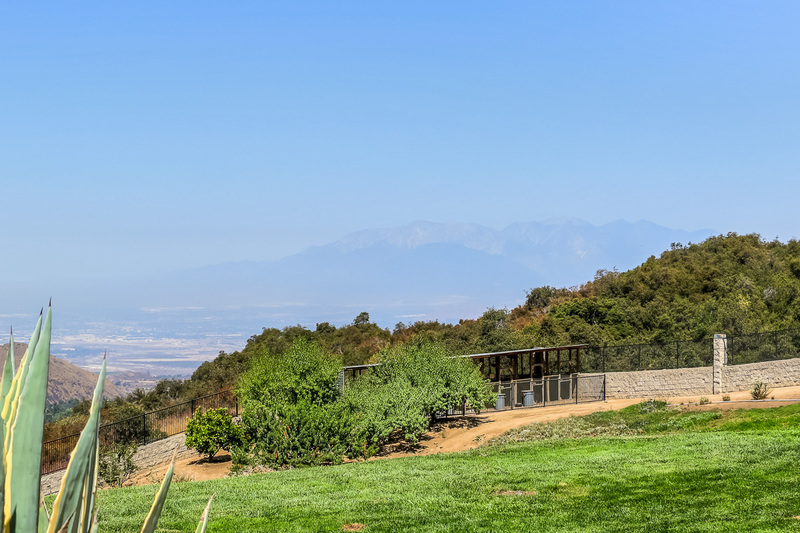 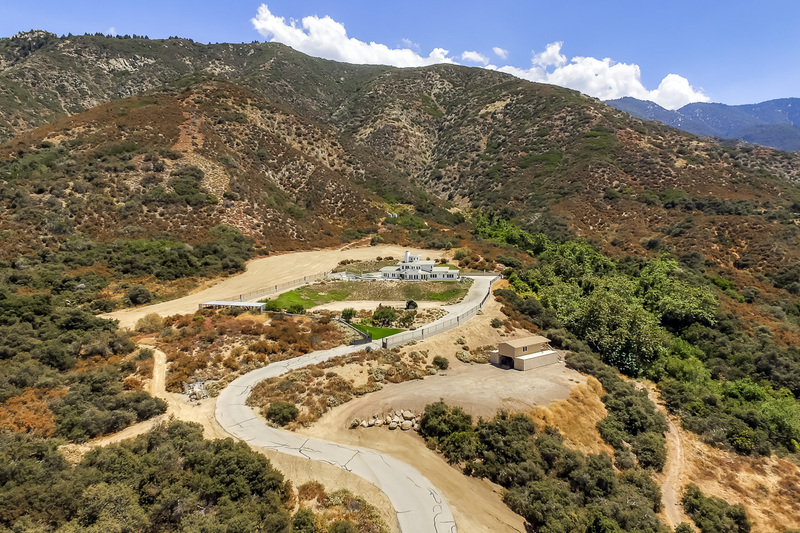 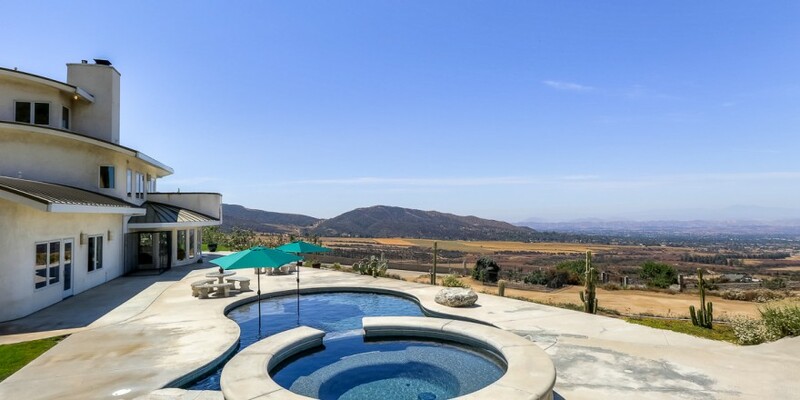 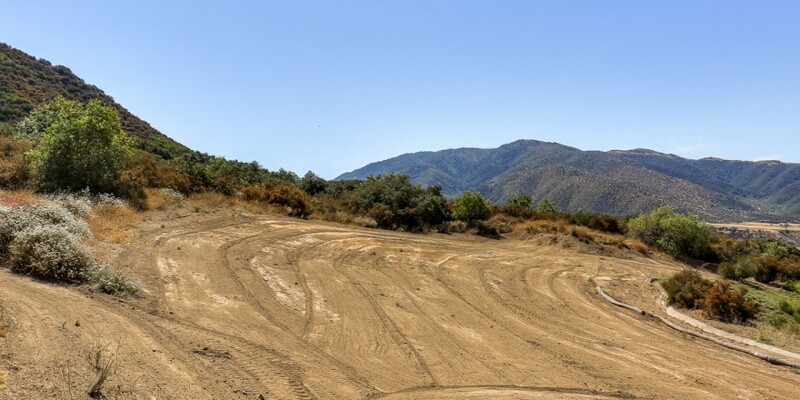 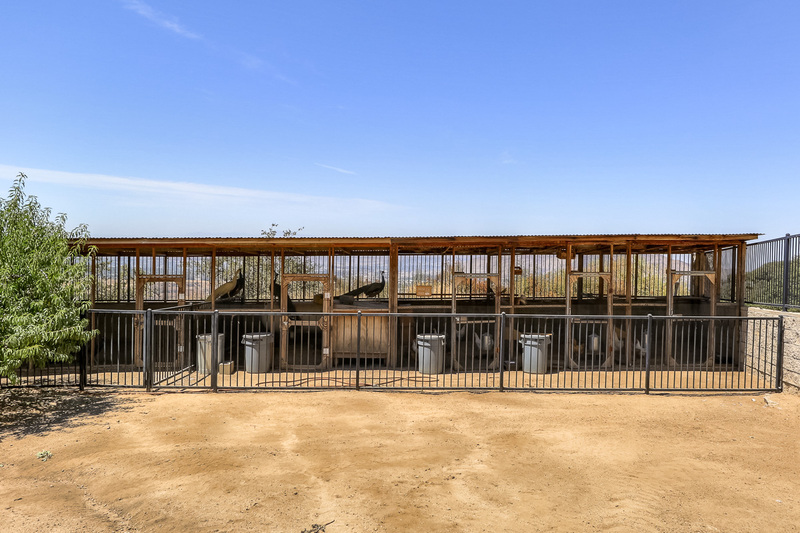 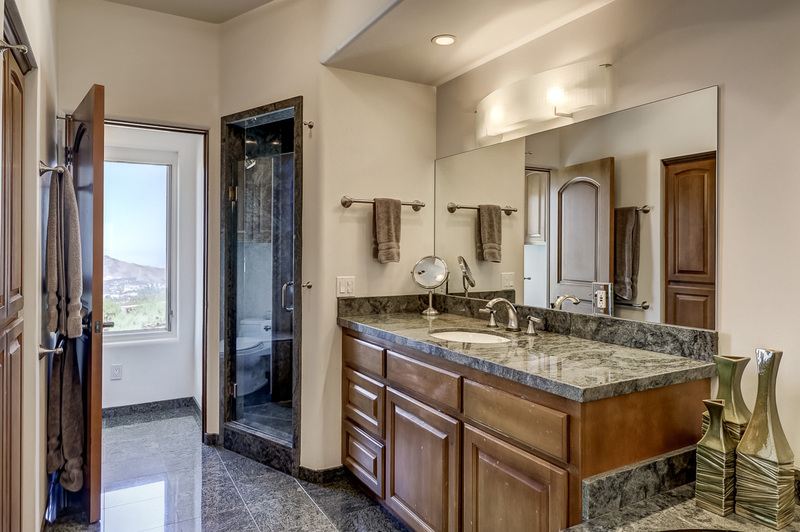 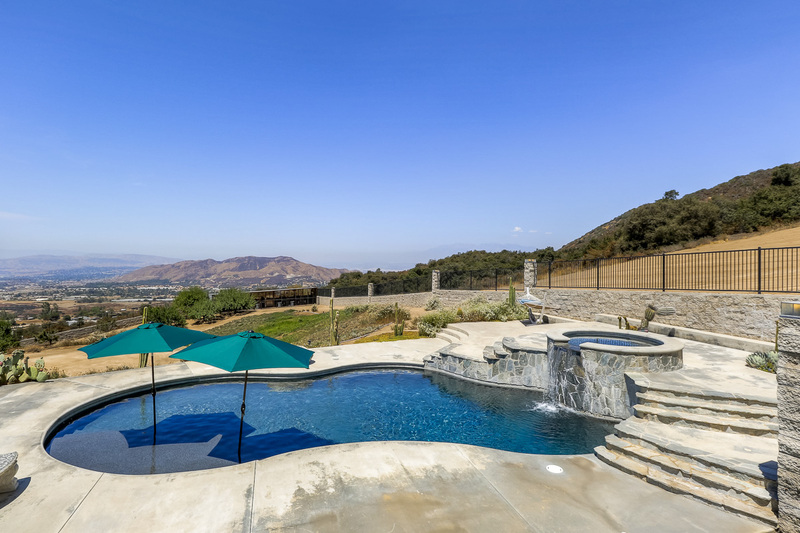 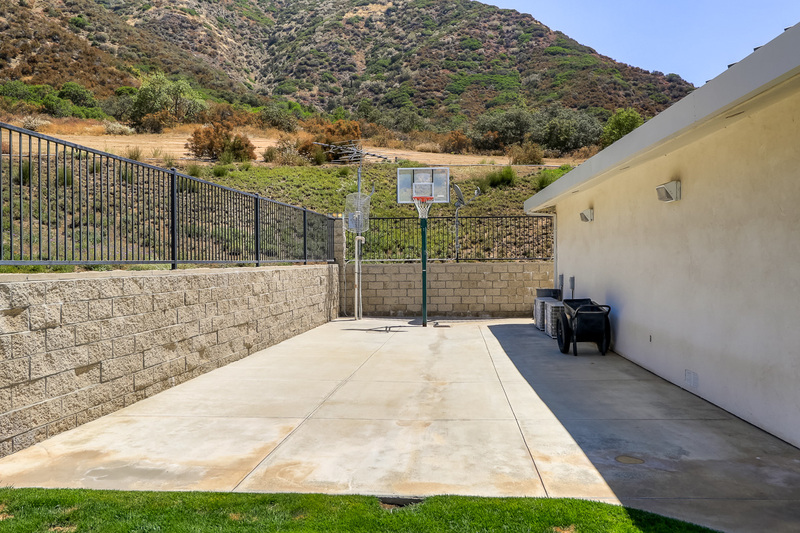 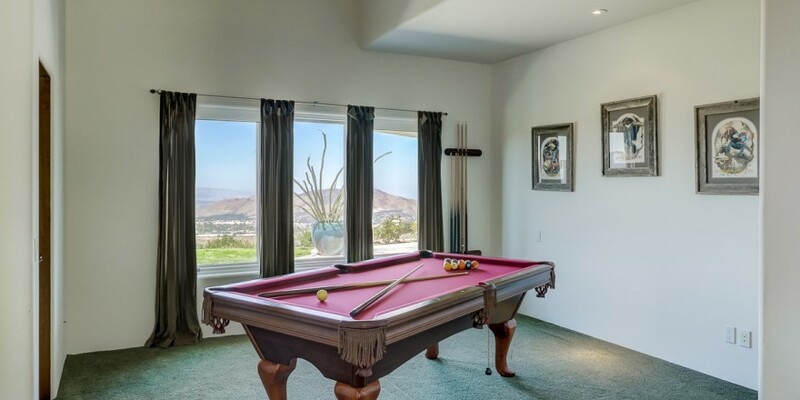 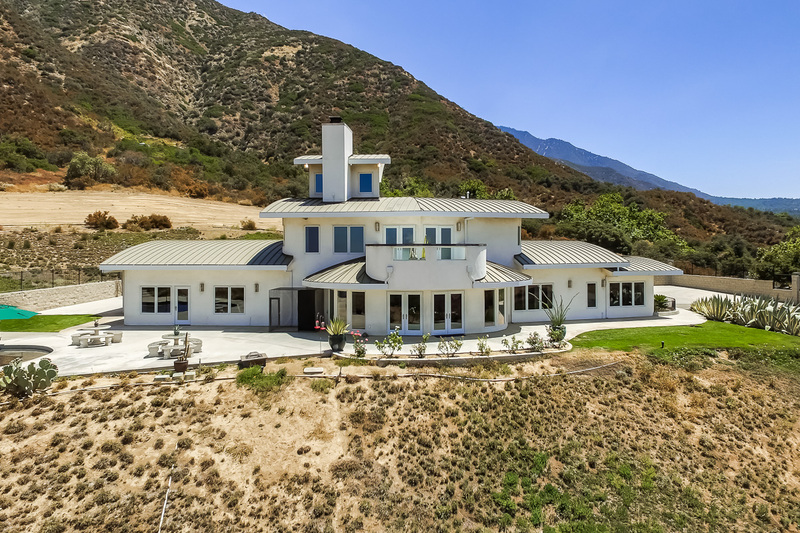 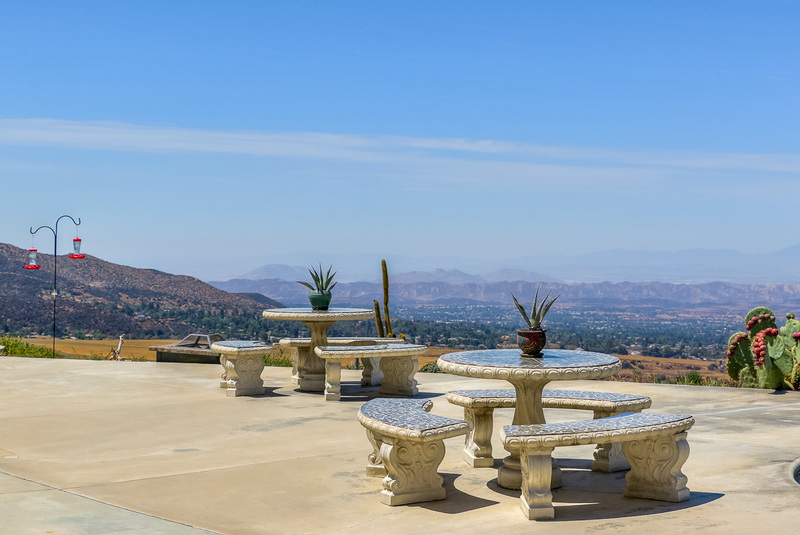 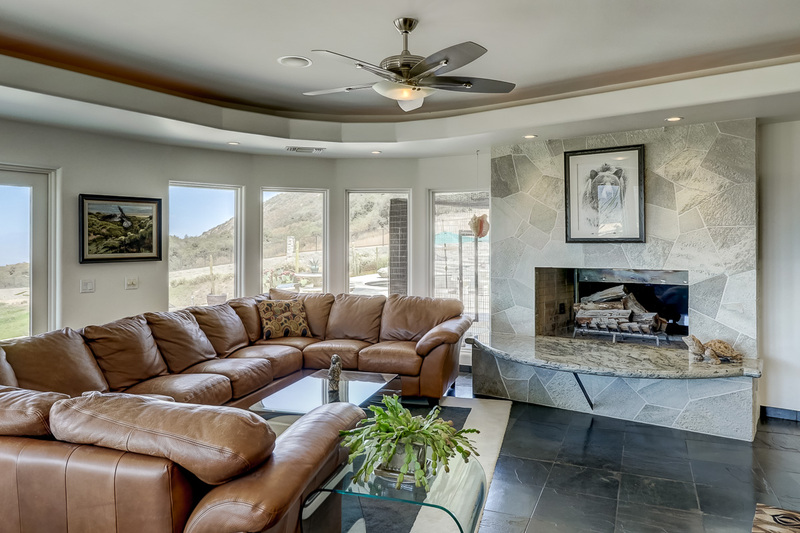 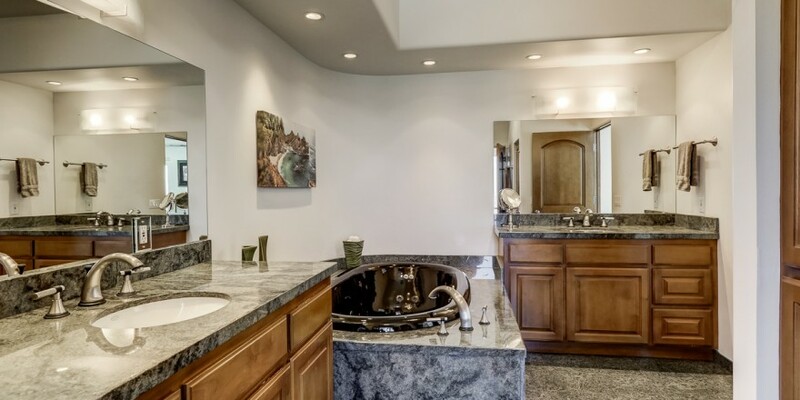 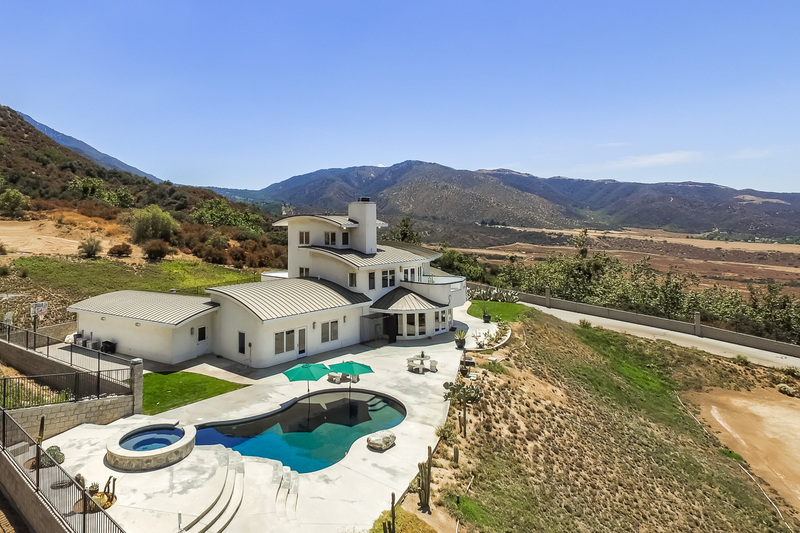 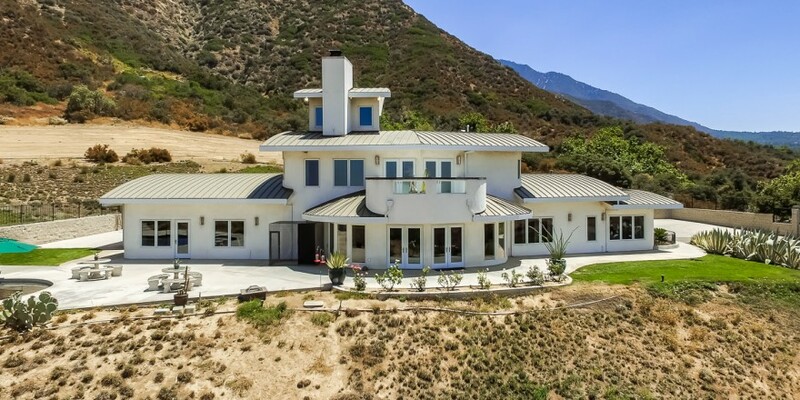 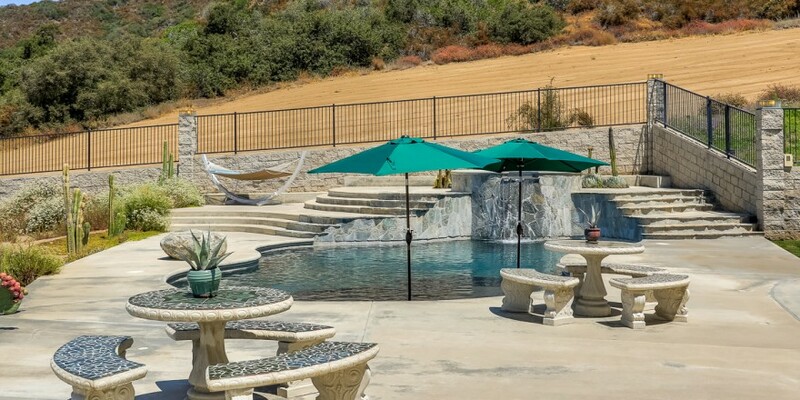 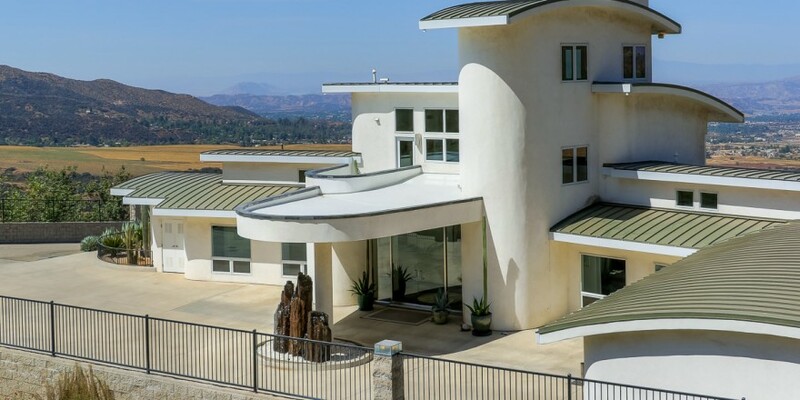 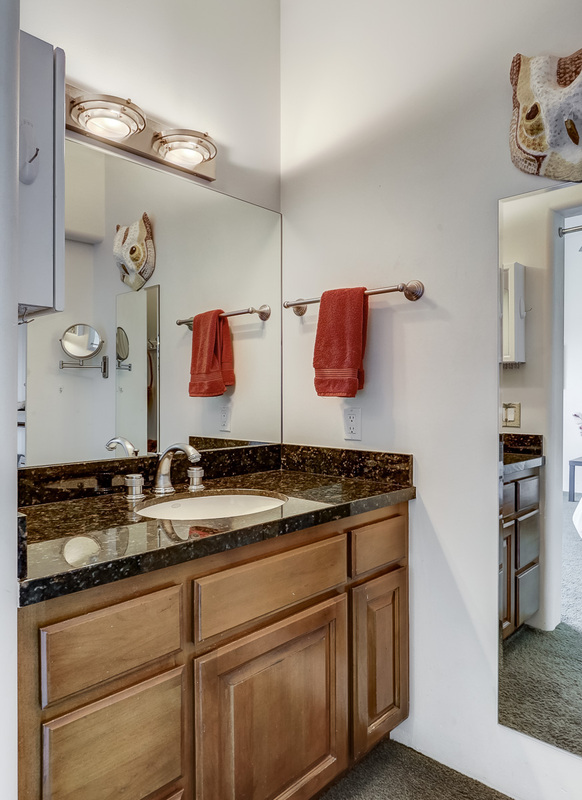 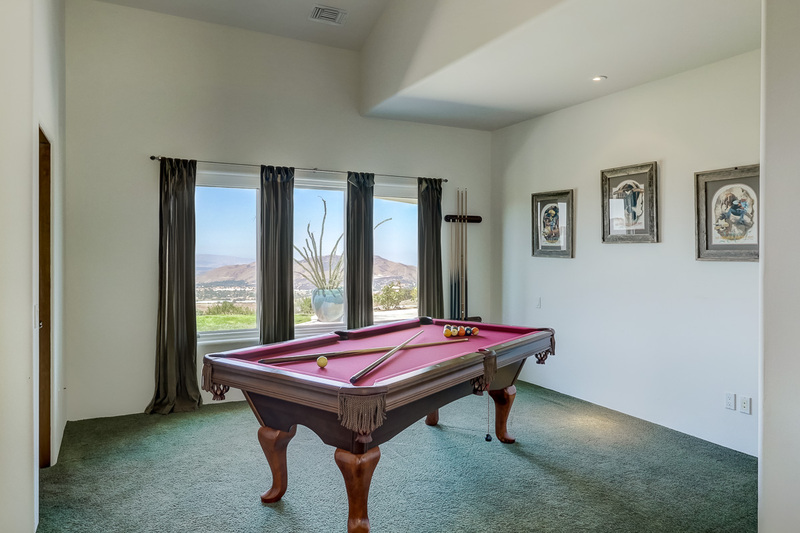 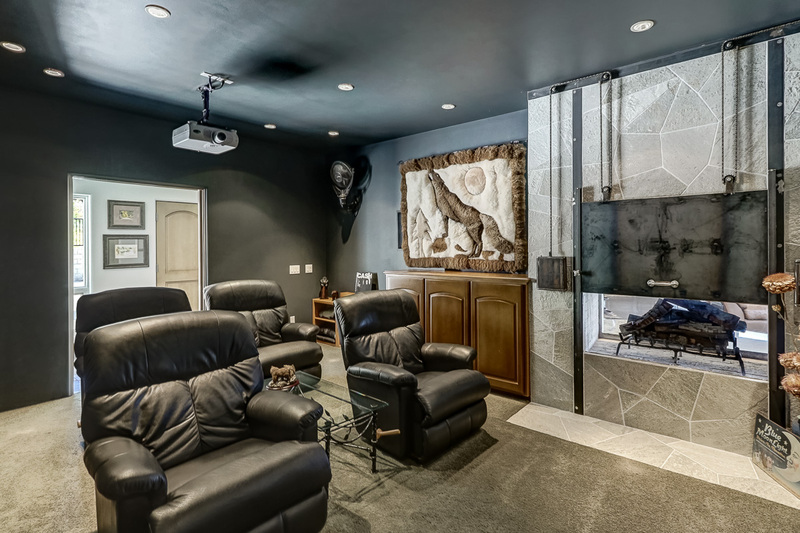 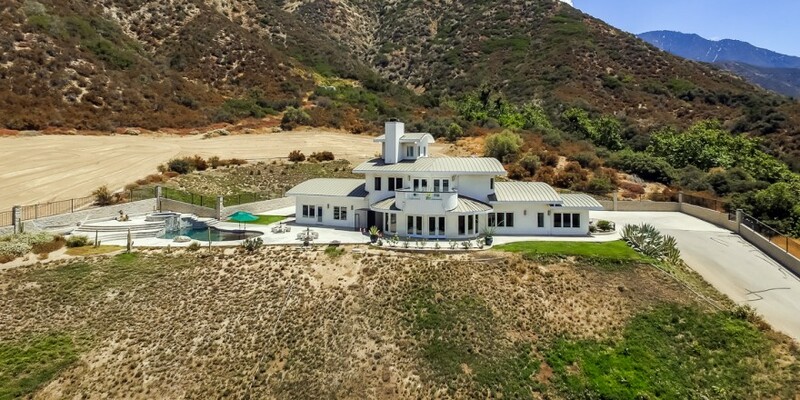 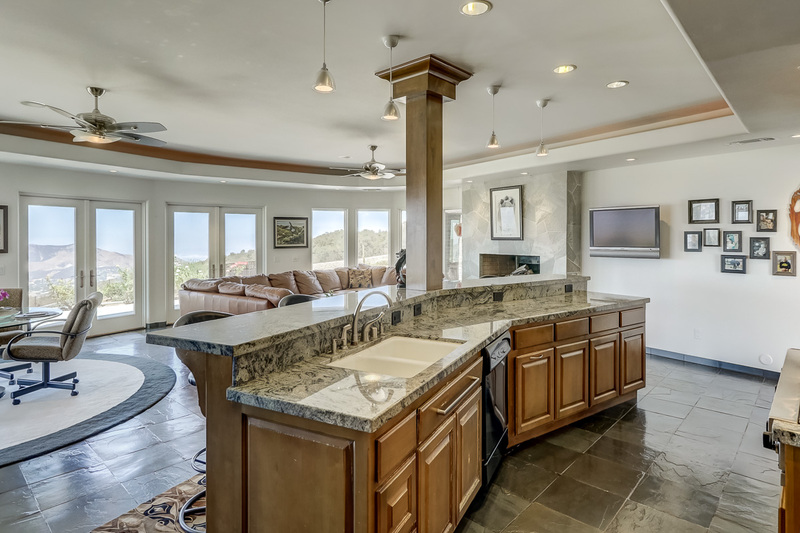 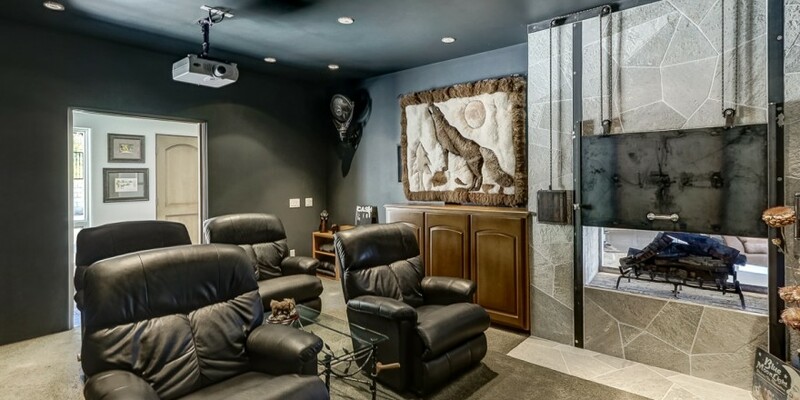 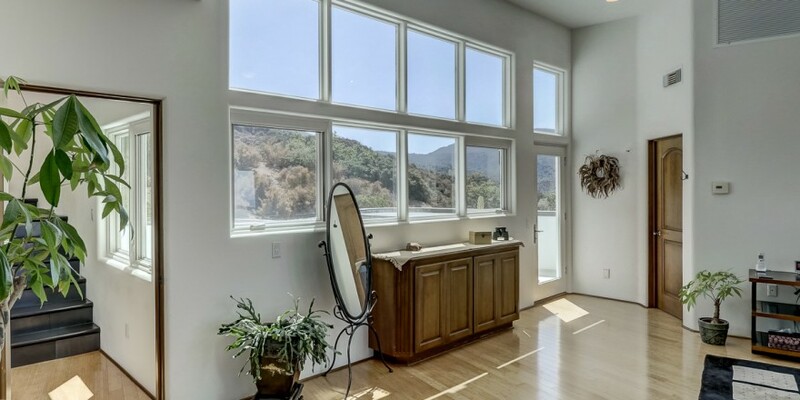 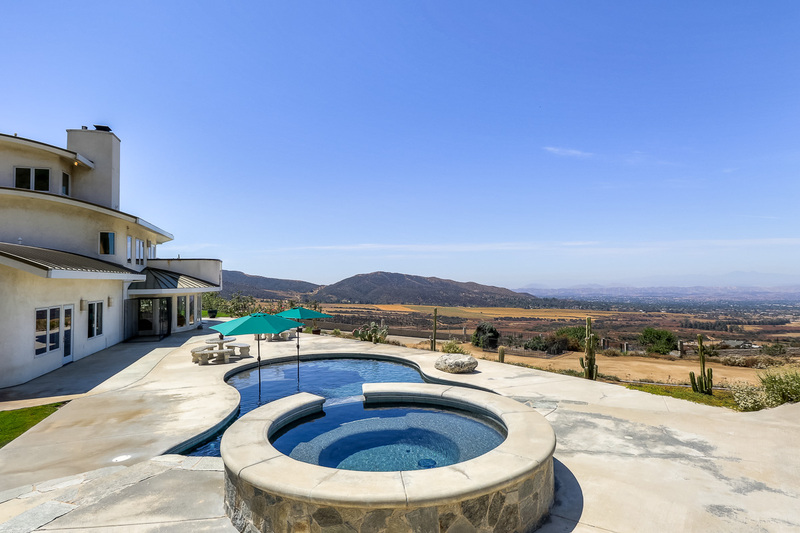 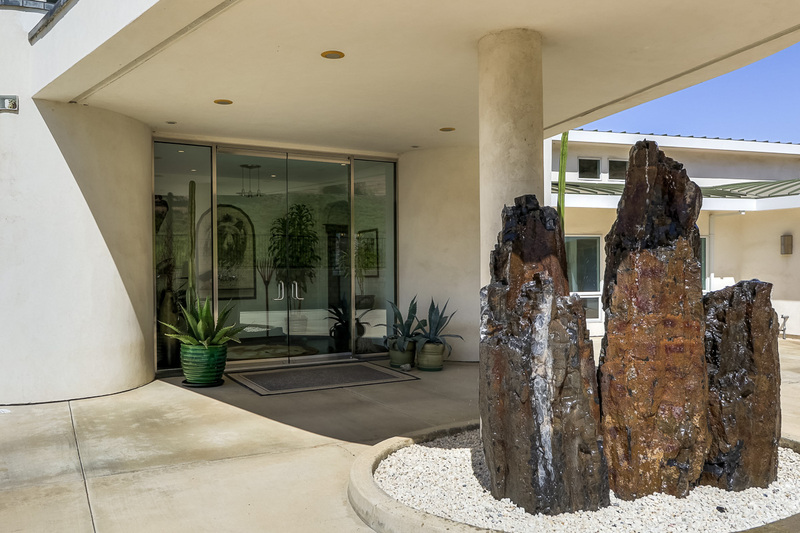 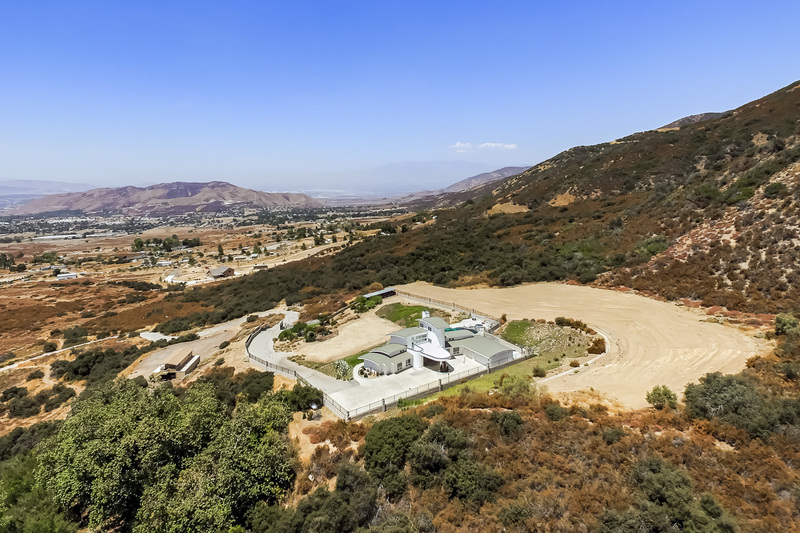 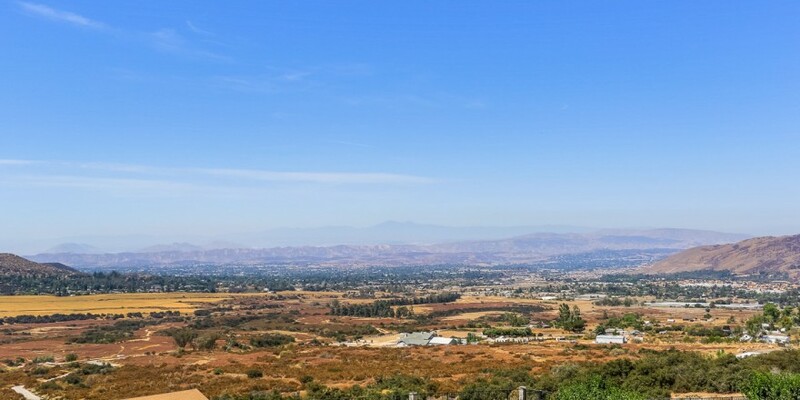 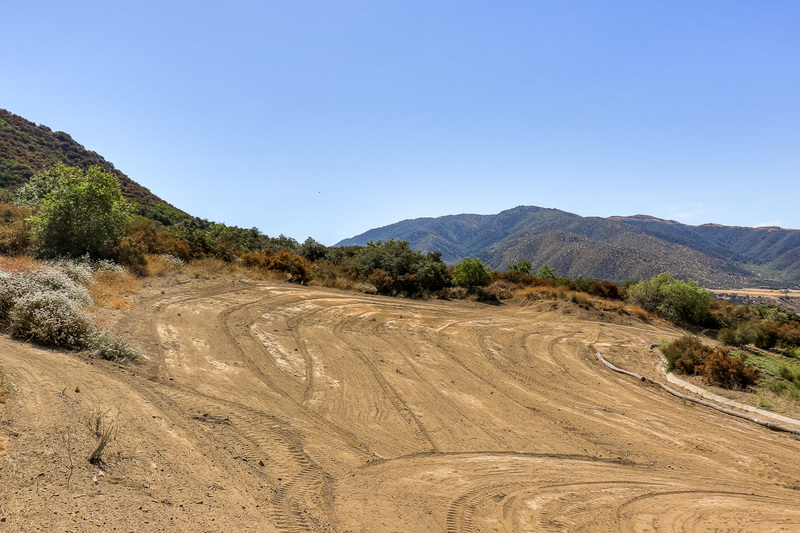 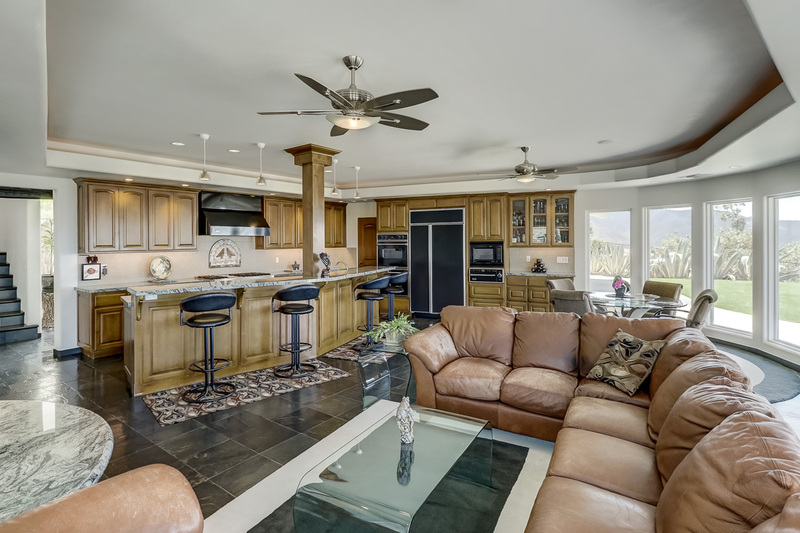 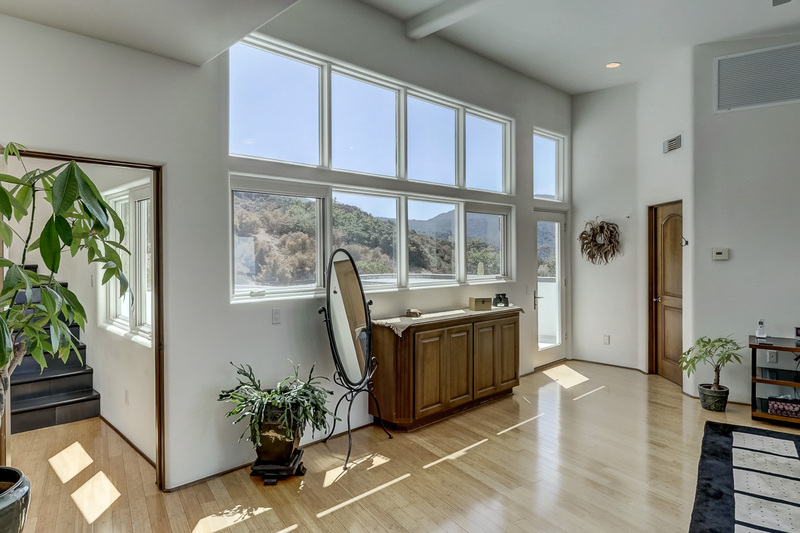 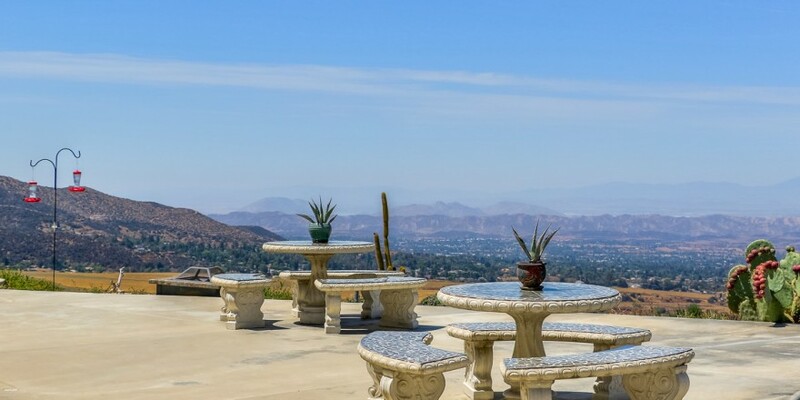 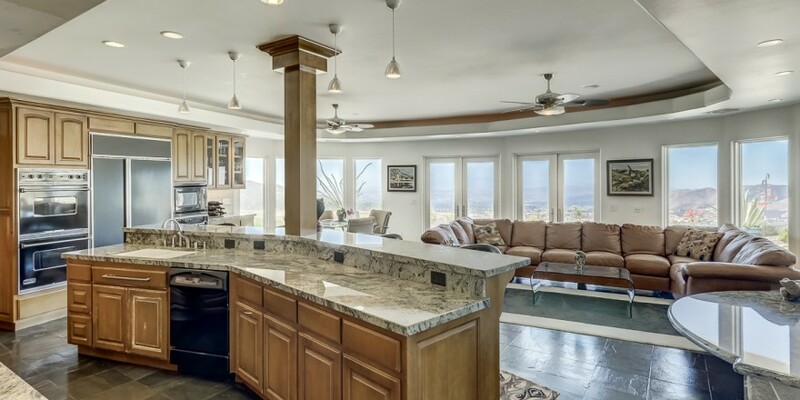 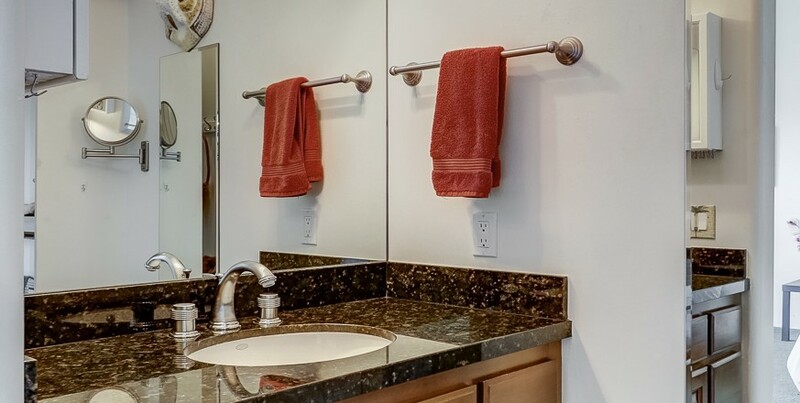 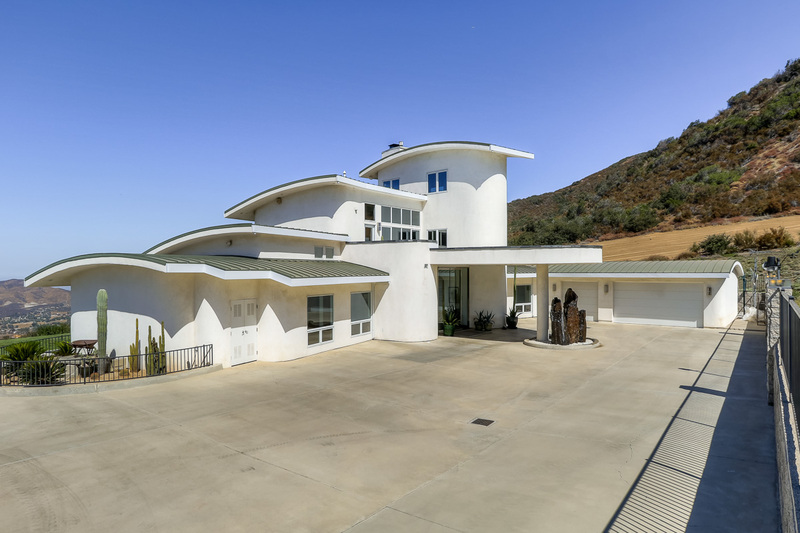 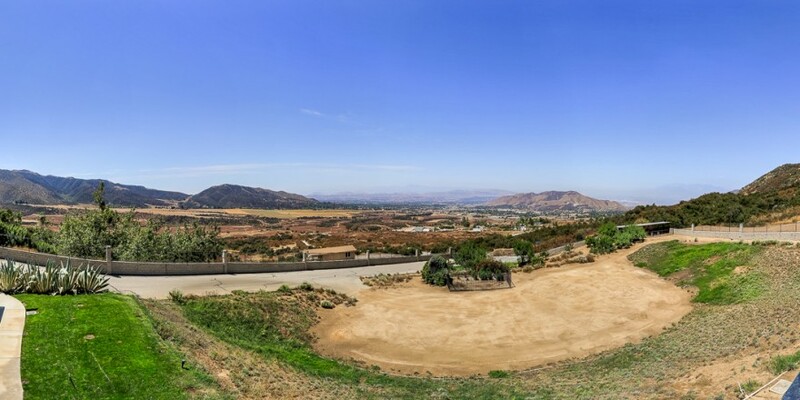 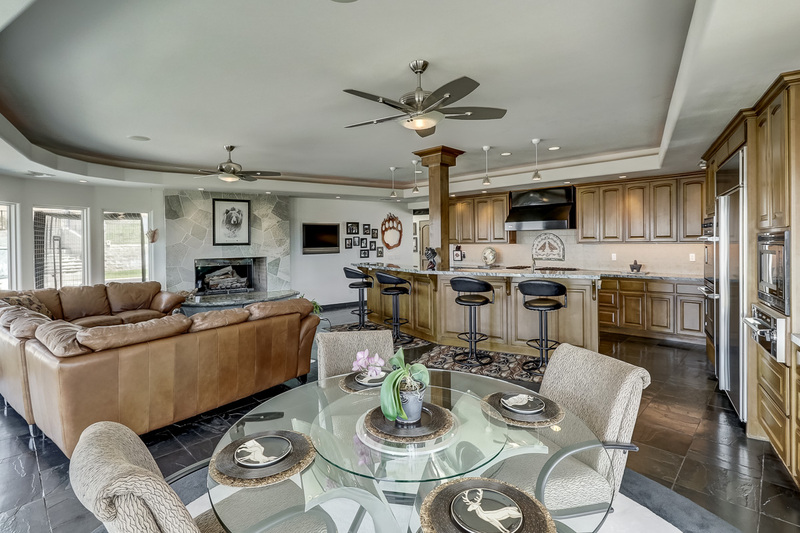 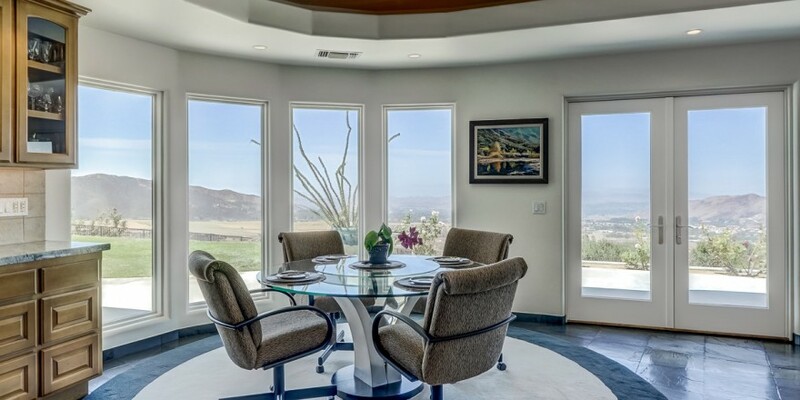 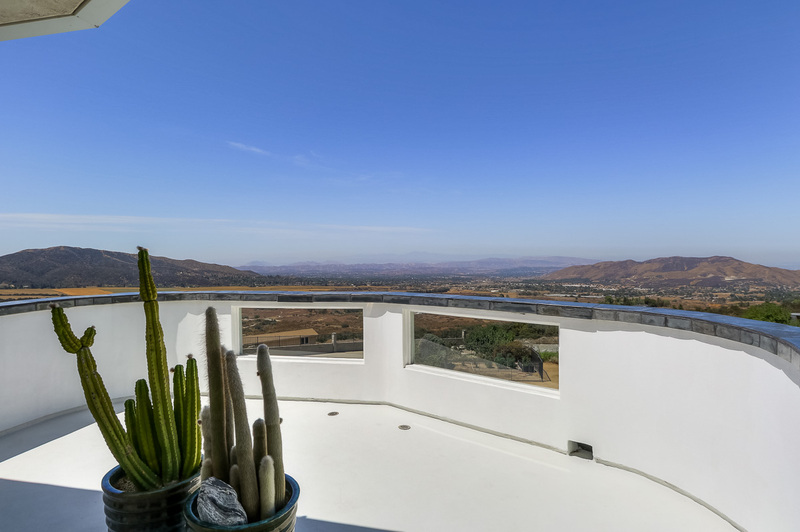 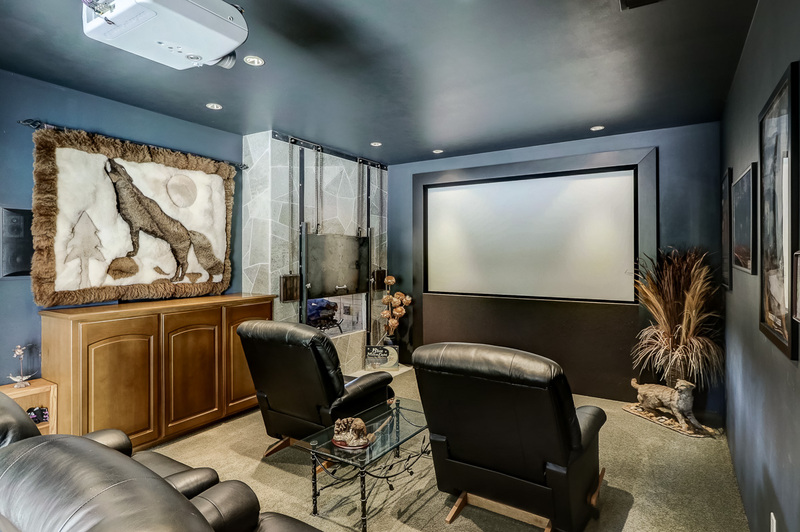 With breathtaking 360* views, you will never tire of witnessing the undisturbed beauty of the natural environment and mountain vistas, as well as quietly taking in the expansive views of shooting stars and city lights across the Yucaipa Valley. 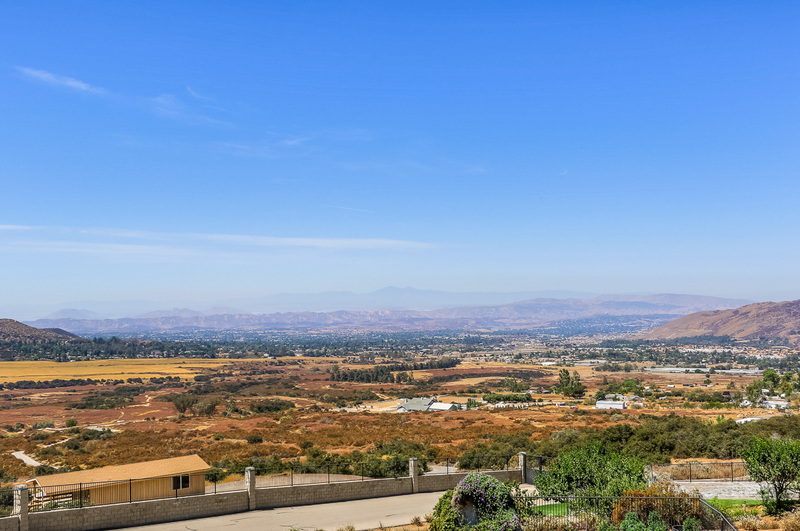 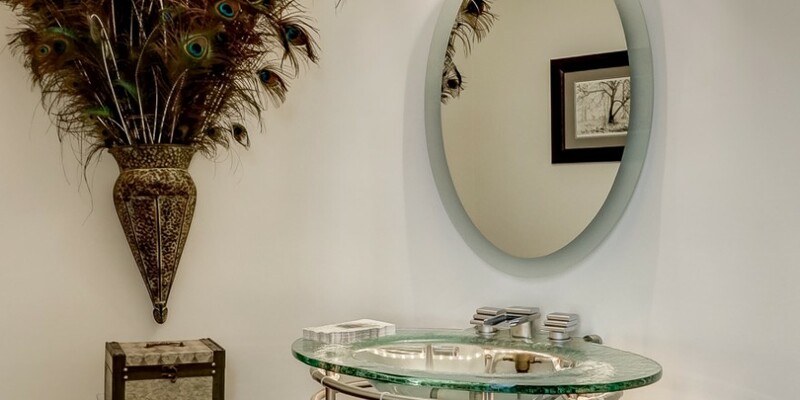 You have the sense that you are privileged to exist in your own private preserve far removed from the hustle and bustle of city life, yet you are conveniently located with easy access to the freeway and shopping. 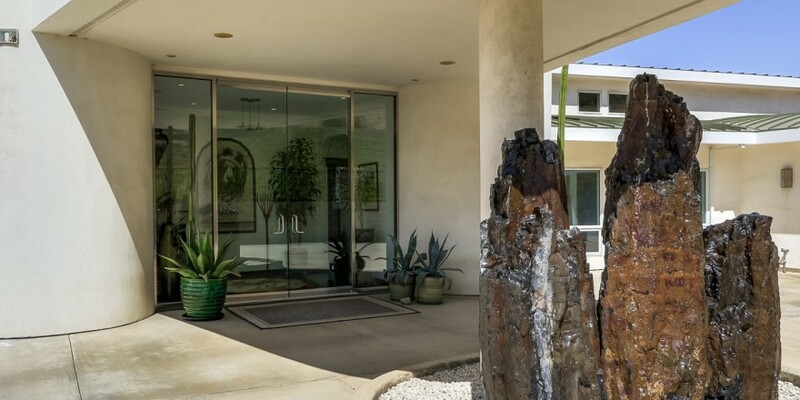 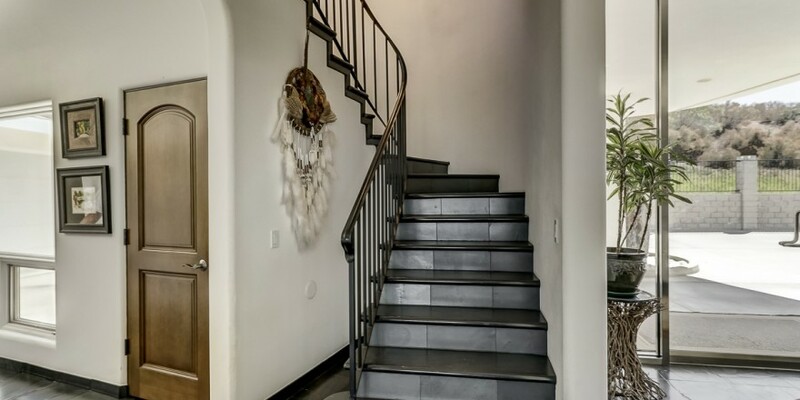 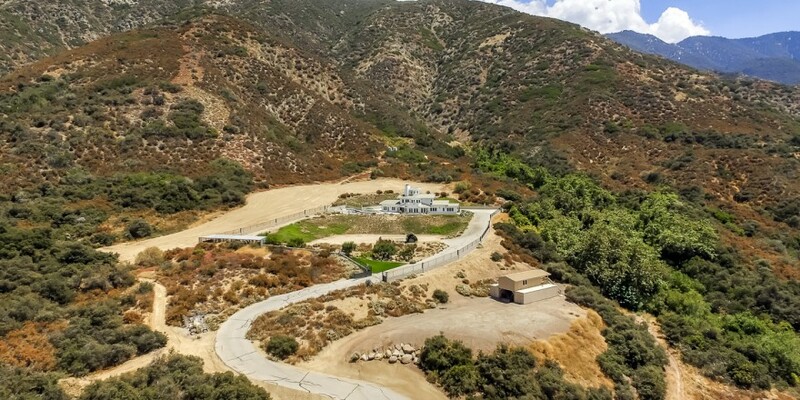 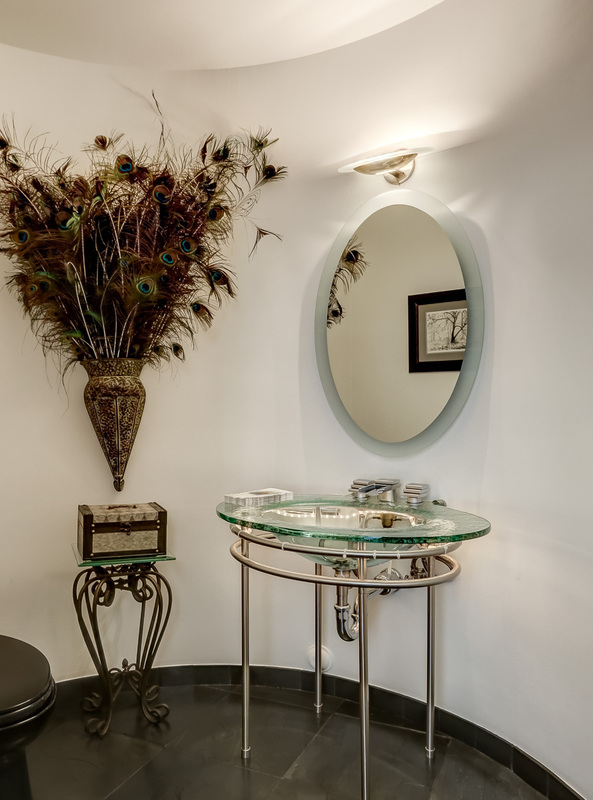 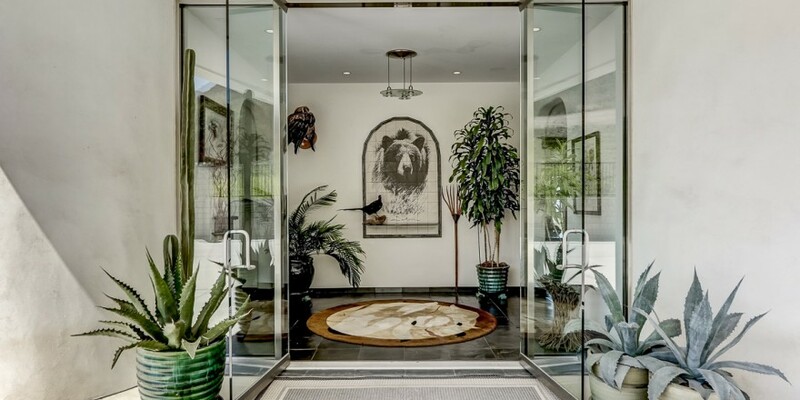 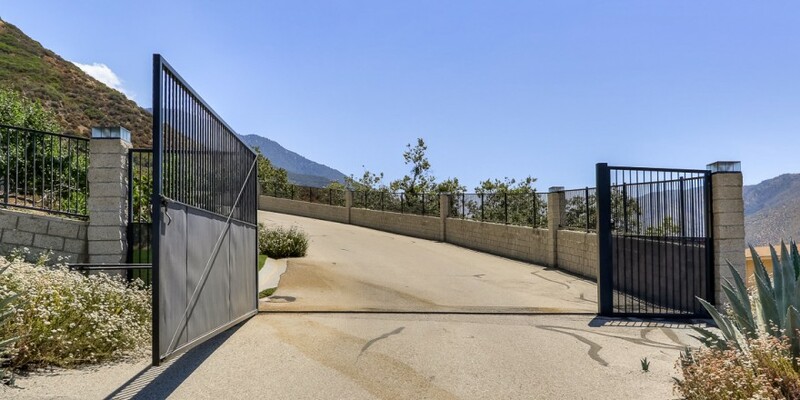 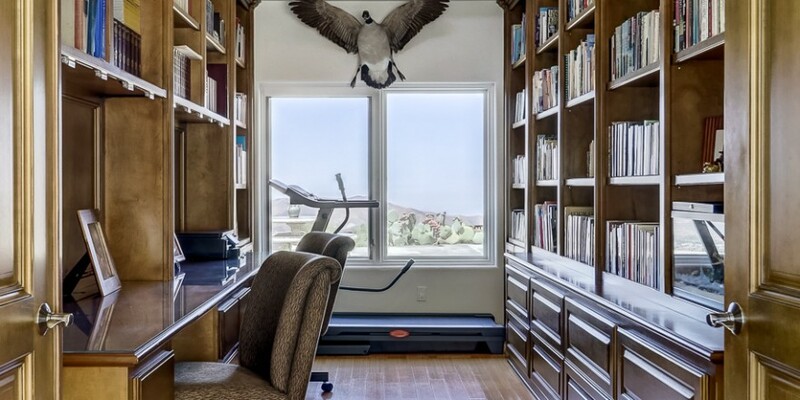 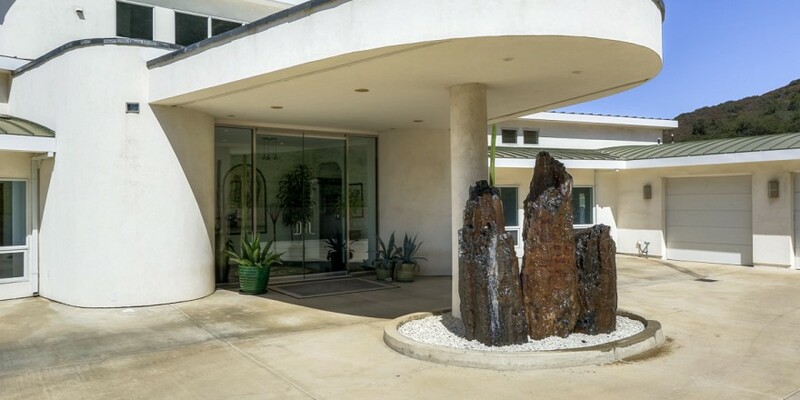 Probably the most unique aspect of this property is the juxtaposition between closeness to nature and the independence of off-the-grid living, with the elegant contemporary architecture and modern conveniences of this extraordinary home. 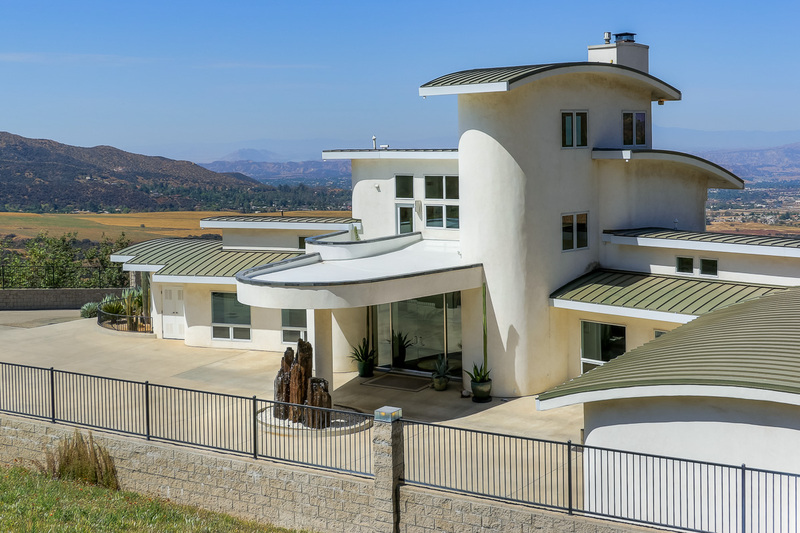 Cleverly engineered, beautifully designed, and sophisticated in its style, the originally-owned custom home was constructed in (2002). 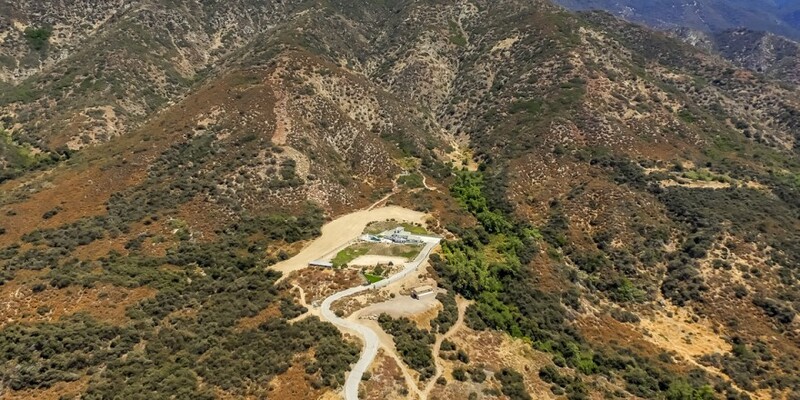 At 3,775 feet in elevation, the home is nestled along the brow of the mountains. 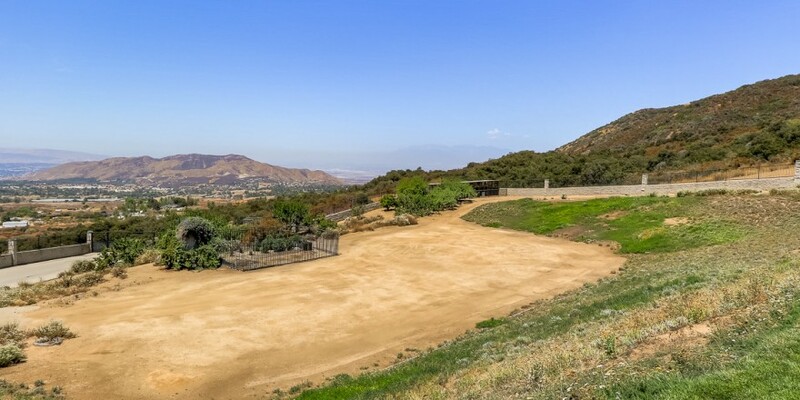 The homesite was carefully chosen to provide an ideal vantage point while still taking advantage of the natural topography for shelter from the wind. 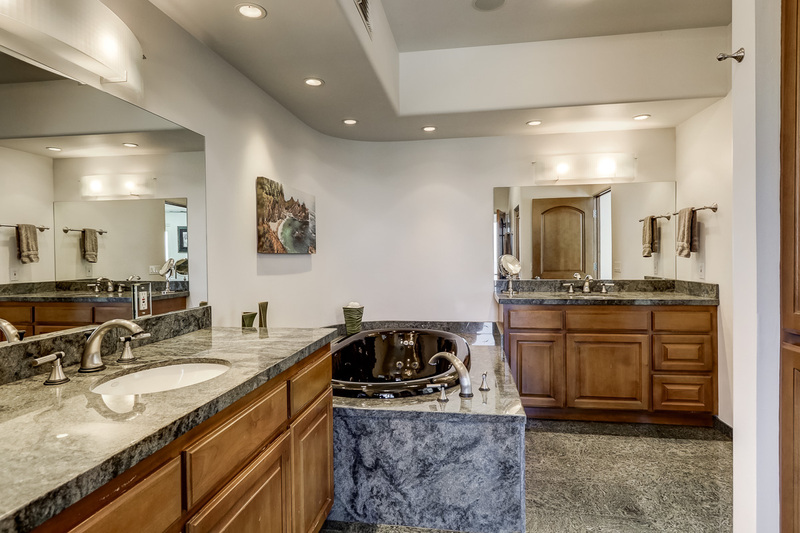 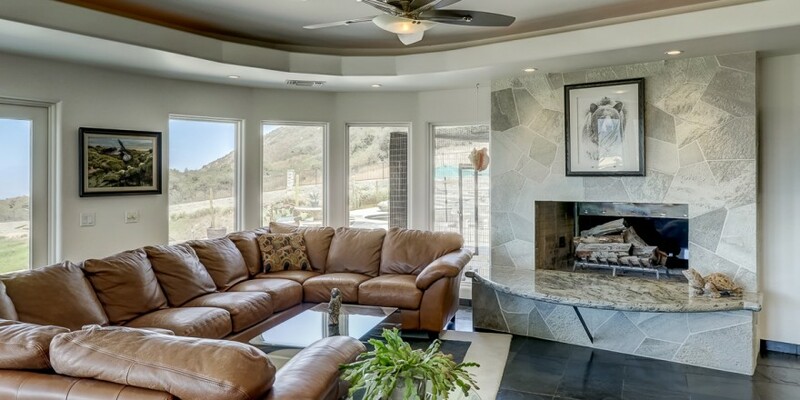 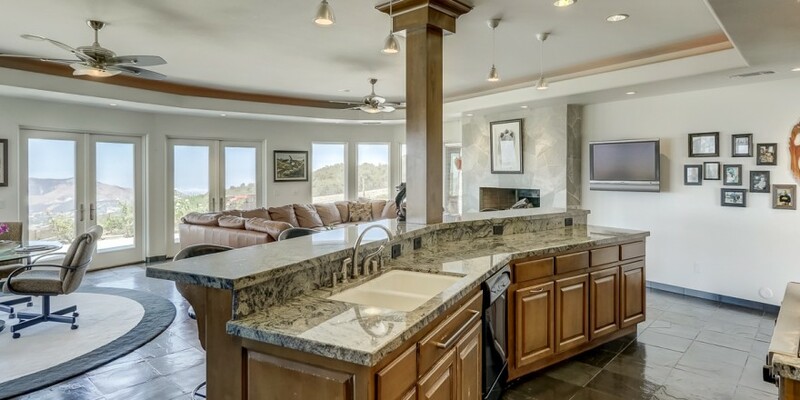 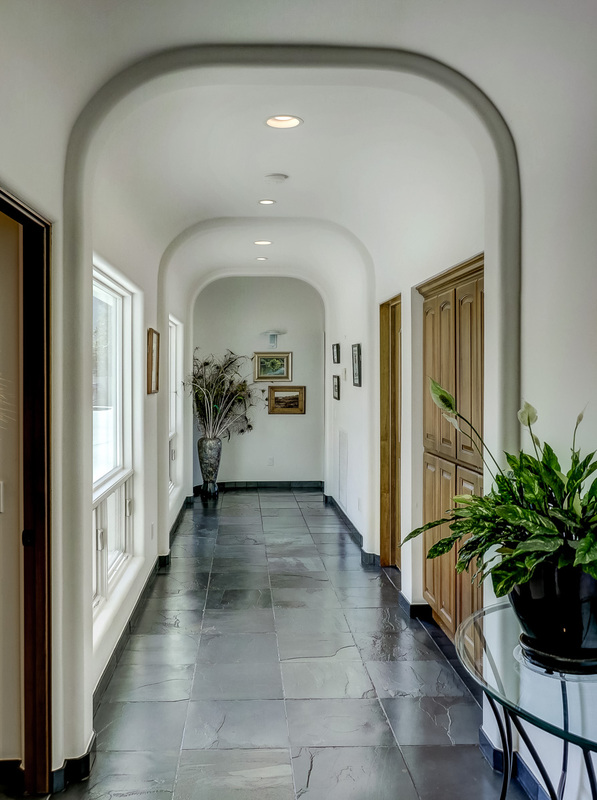 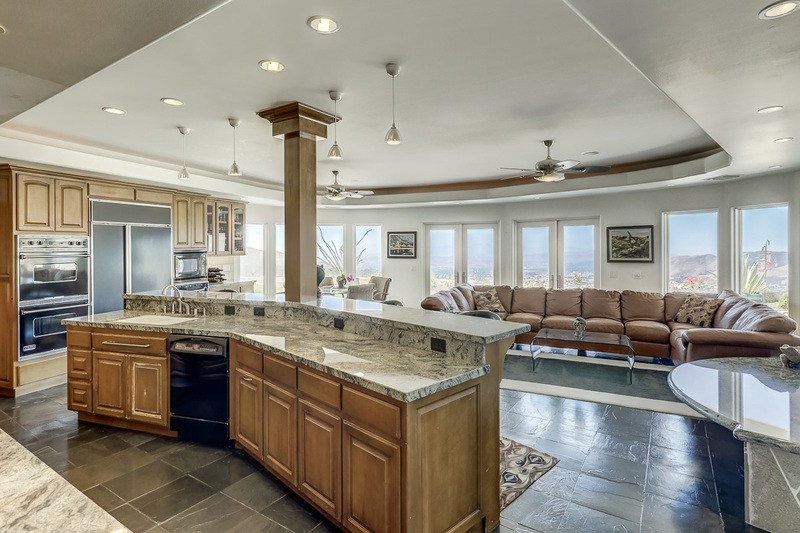 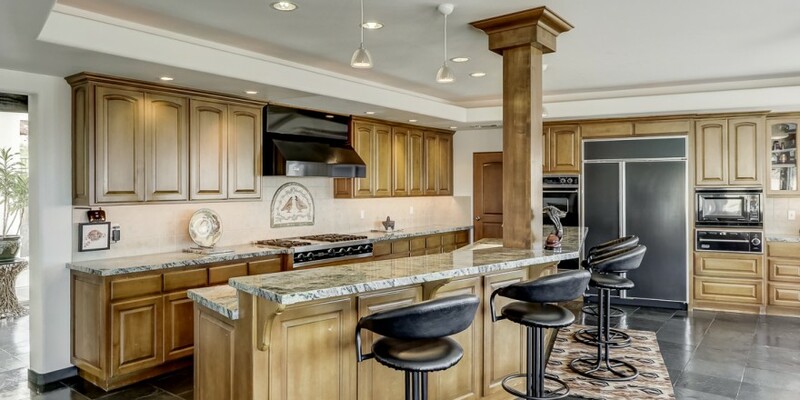 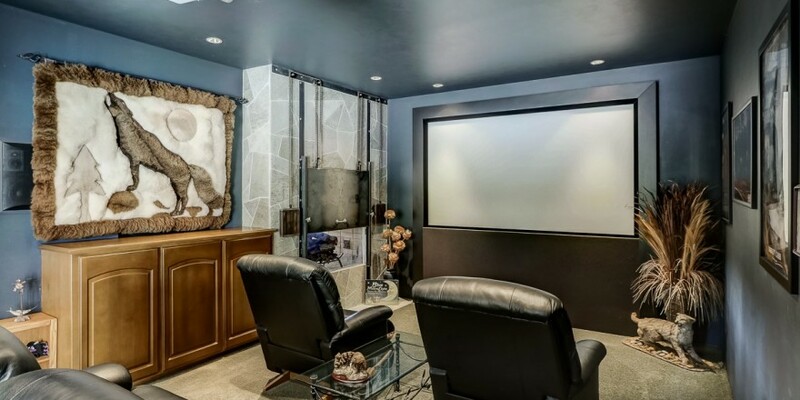 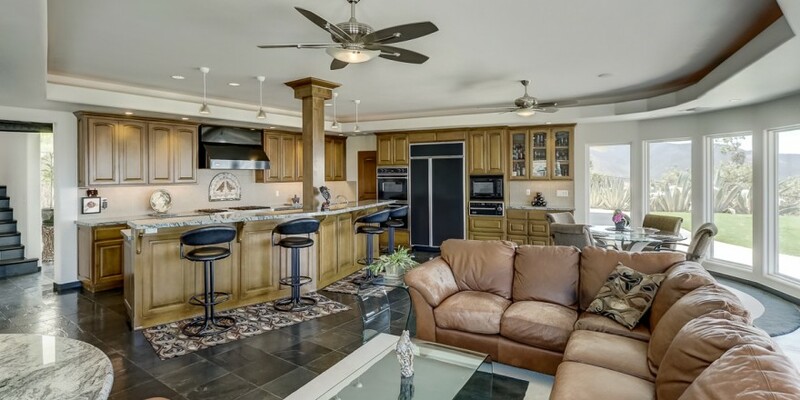 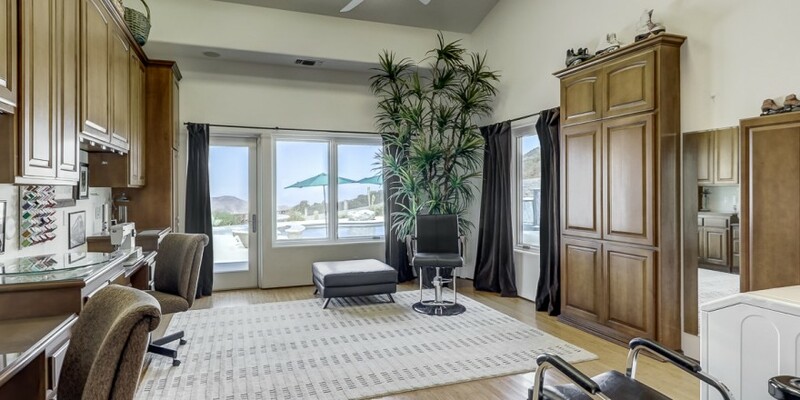 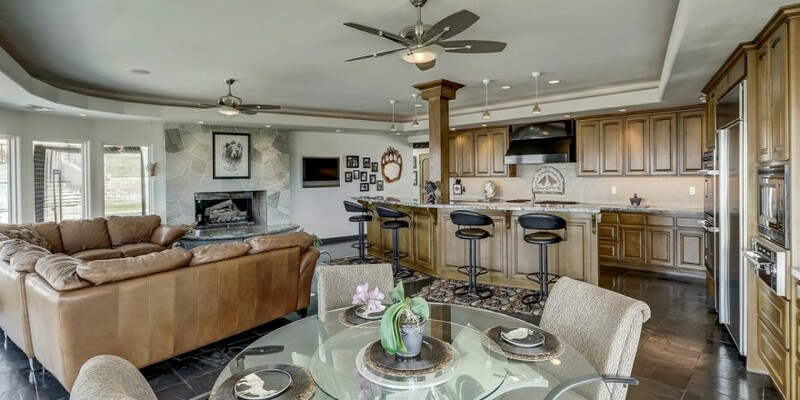 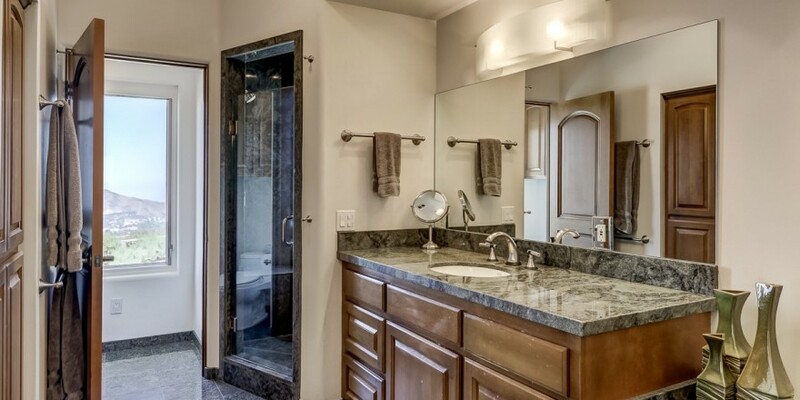 This 4 bedroom, 4 bath home is reasonably-sized at 3,857 sq ft, and it never feels constrained. 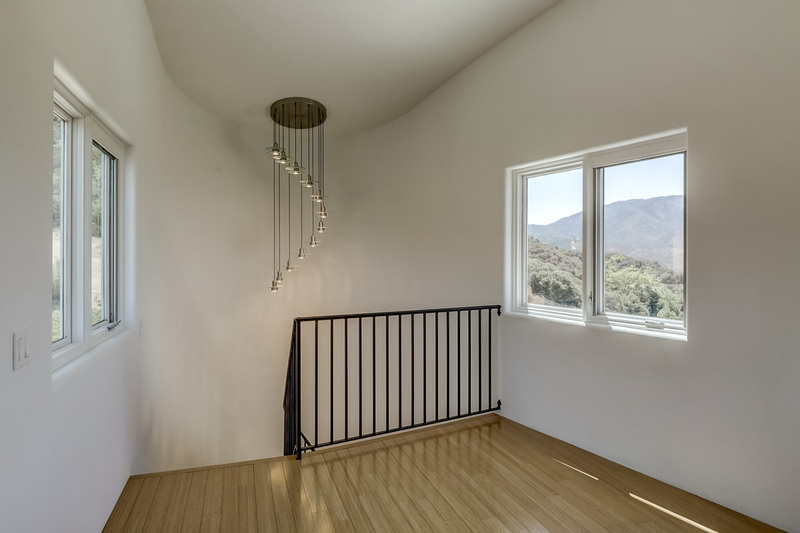 The open interior spaces are naturally light-filled by virtue of the many windows, which conveys a unique sense of spaciousness that takes advantage of the panoramic views and seclusion of the surrounding property. 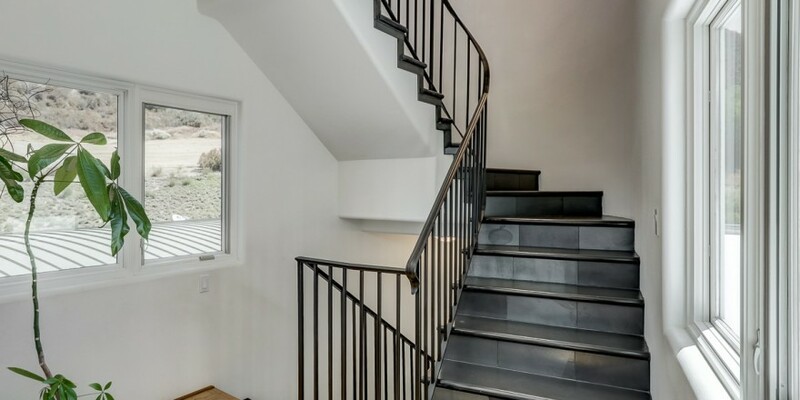 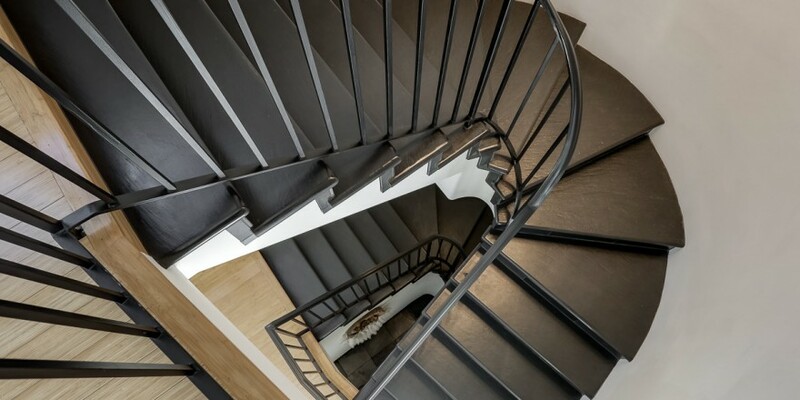 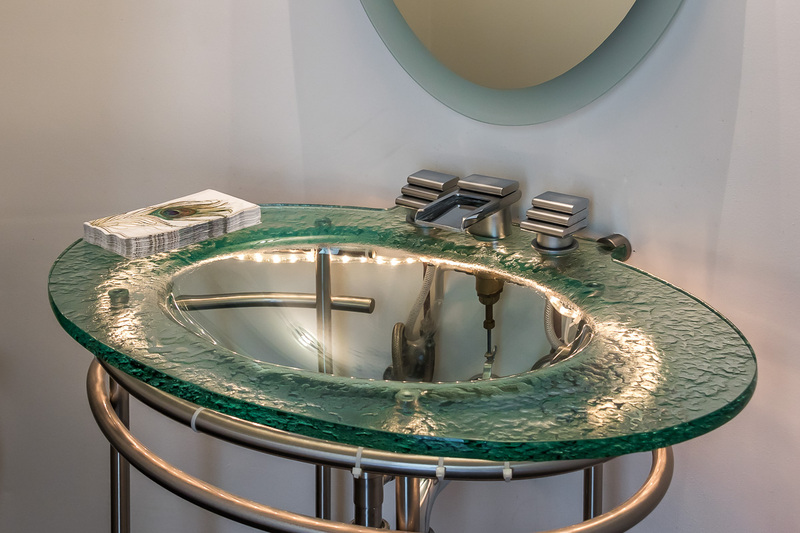 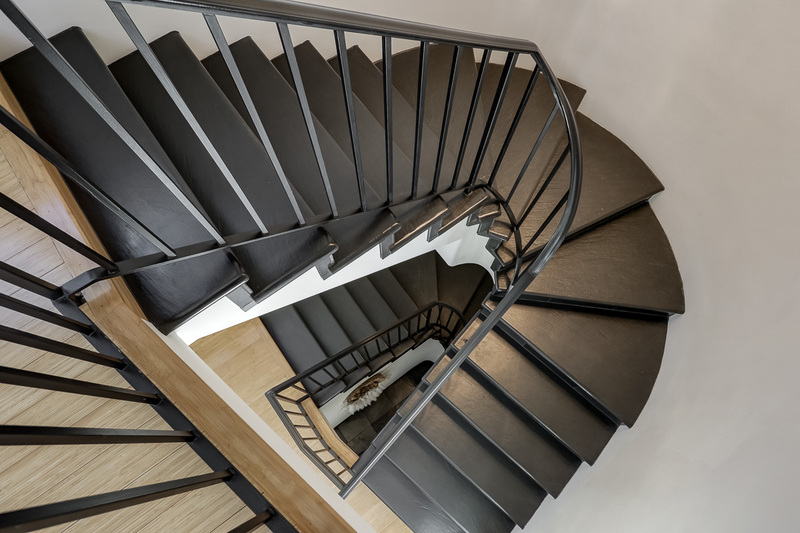 In the floor plan and design, not a detail was left unattended. 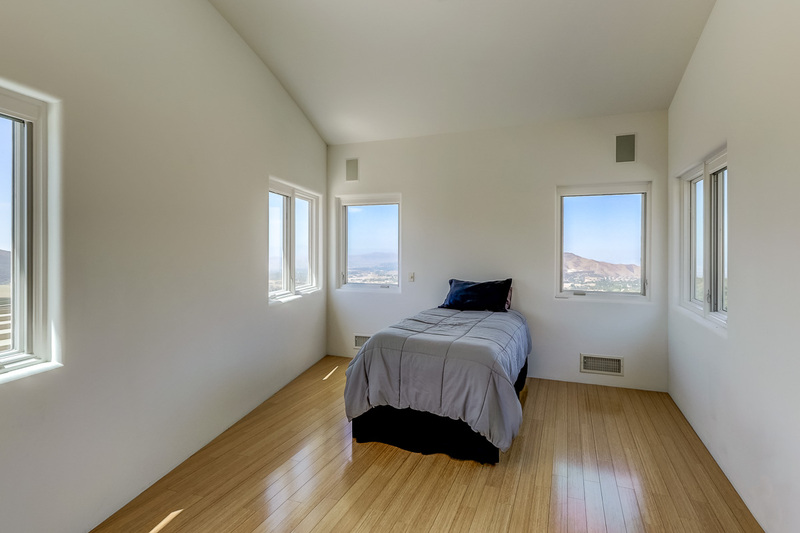 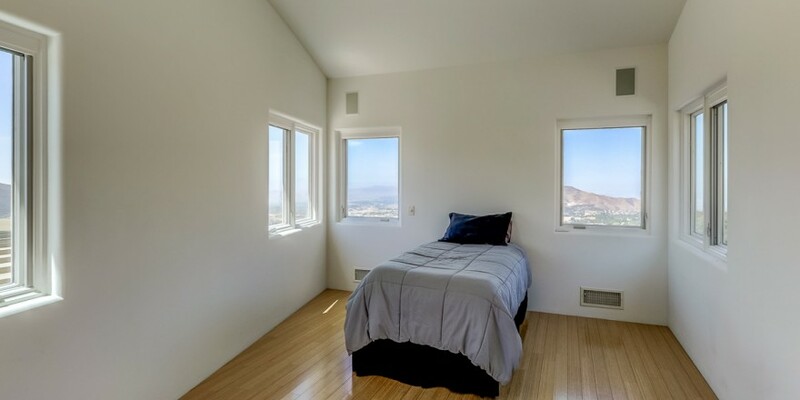 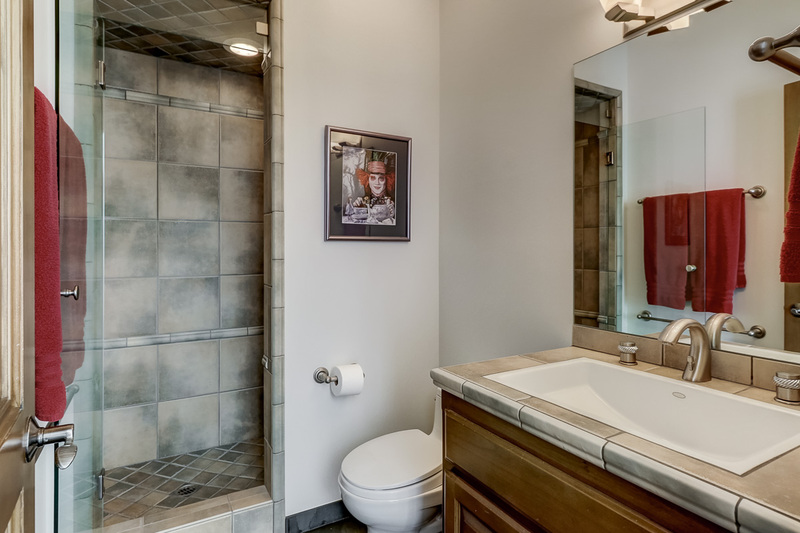 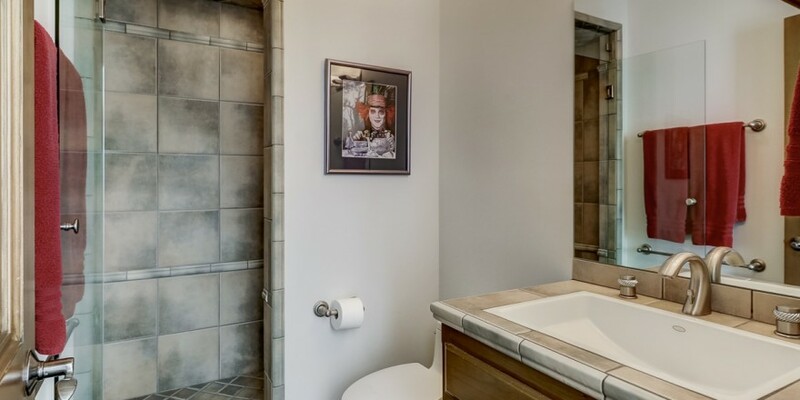 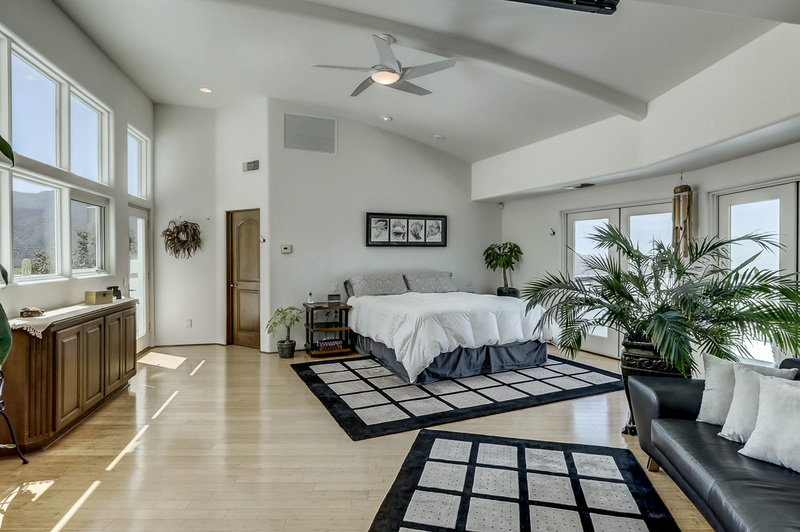 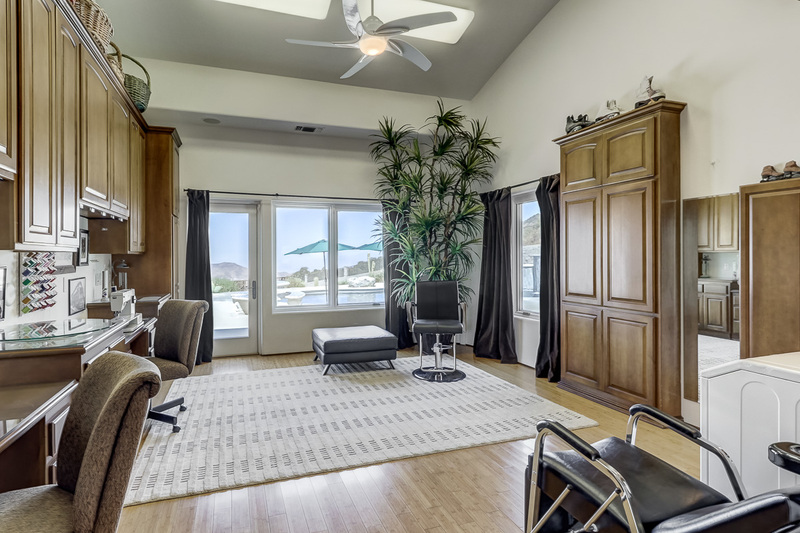 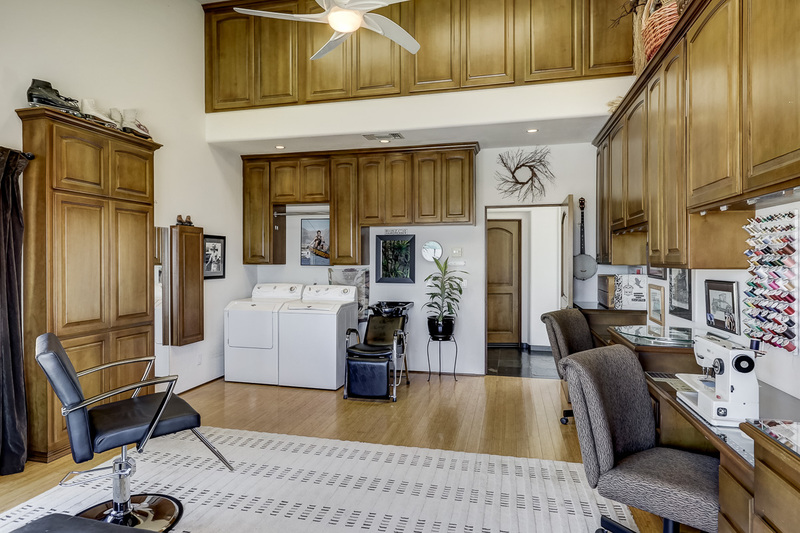 The master suite is located on it’s own floor for privacy and is thoughtfully accompanied by a bonus room that can be used as a yoga/meditation space, nursery, exercise room, artist’s’ studio, office, or reading room. 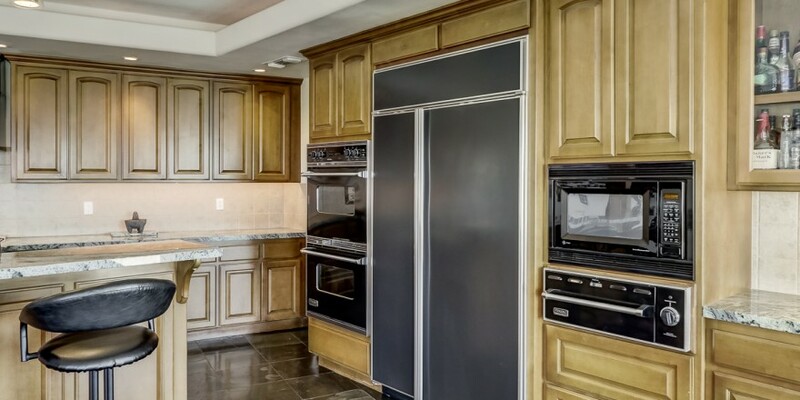 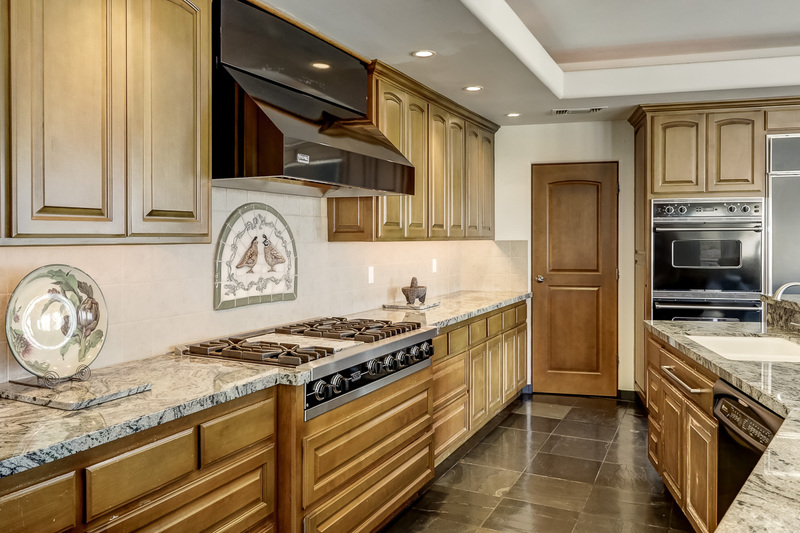 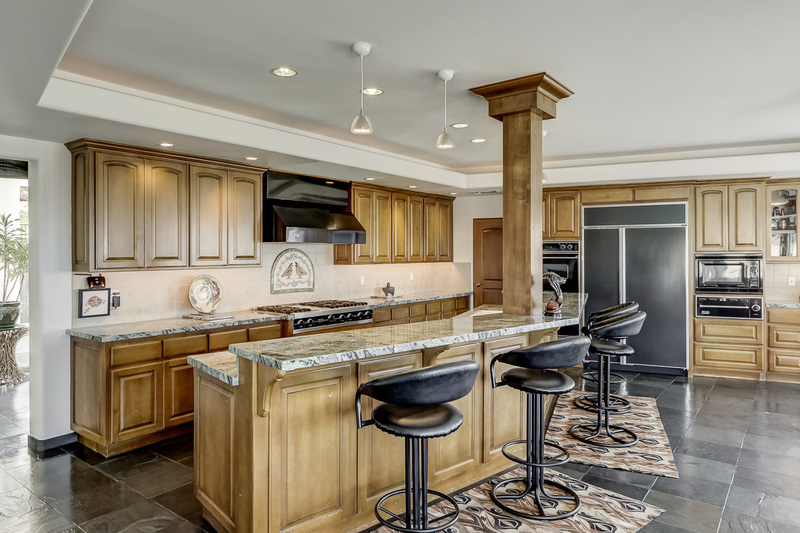 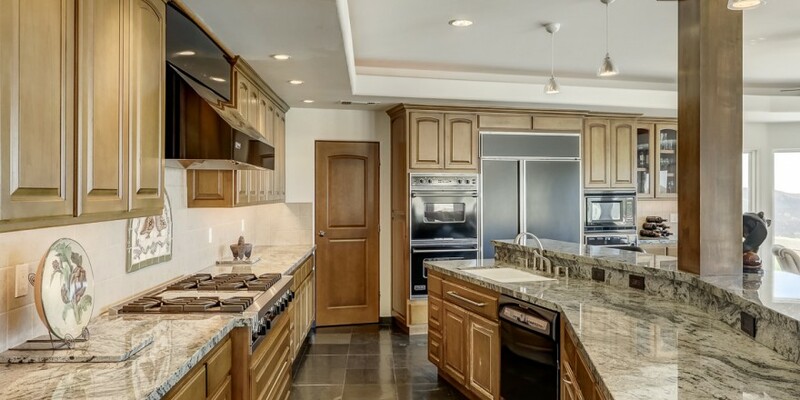 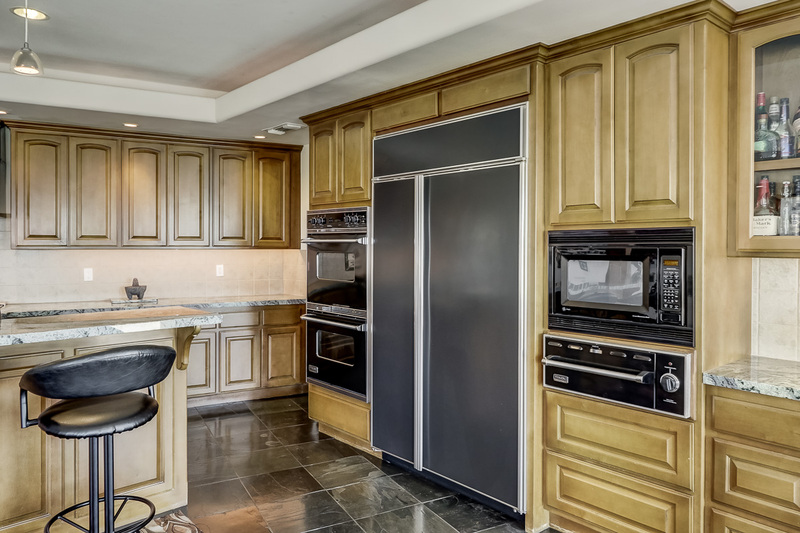 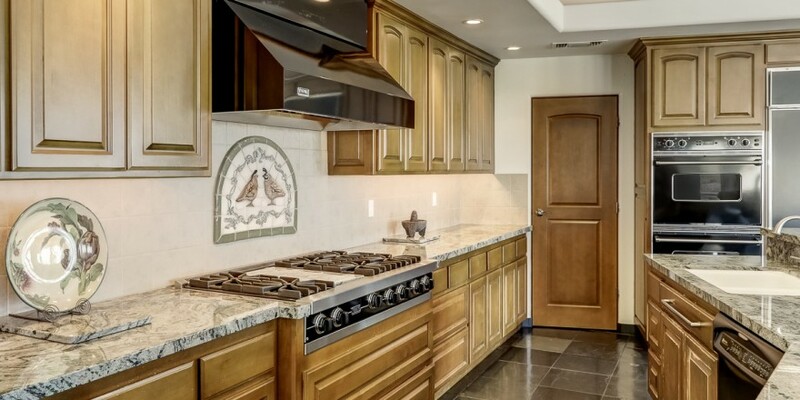 The kitchen and adjoining great room are perfectly planned and appointed for entertaining or alone-time as you choose: marble countertops, built-in Sub Zero refrigerator, Viking appliances (range, double oven, warming drawer), custom cabinetry and adjoining pantry provide plenty of storage. 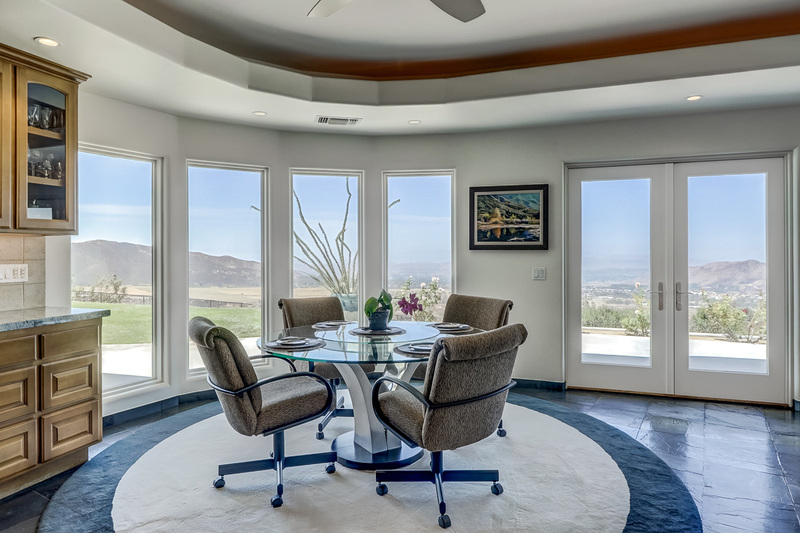 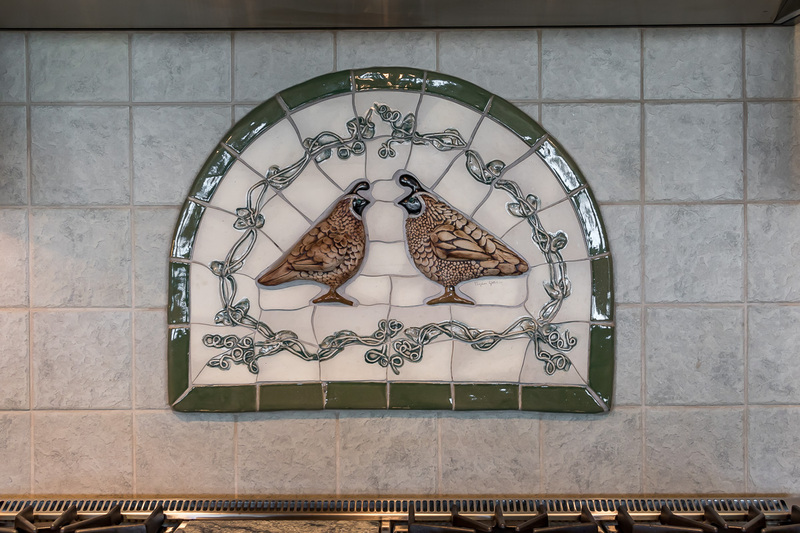 From the kitchen, your eye is drawn across the great room through floor-to-ceiling windows that overlook the saltwater PebbelTec pool, proposed dressage arena and surrounding mountains in the distance. 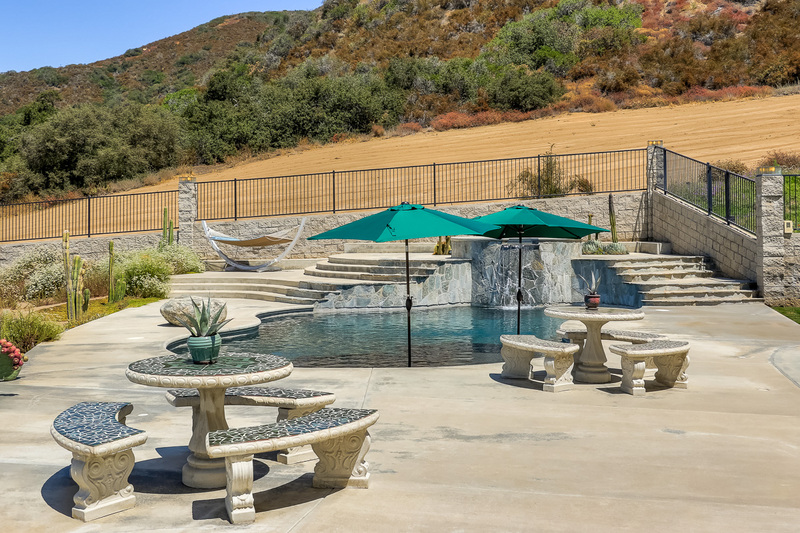 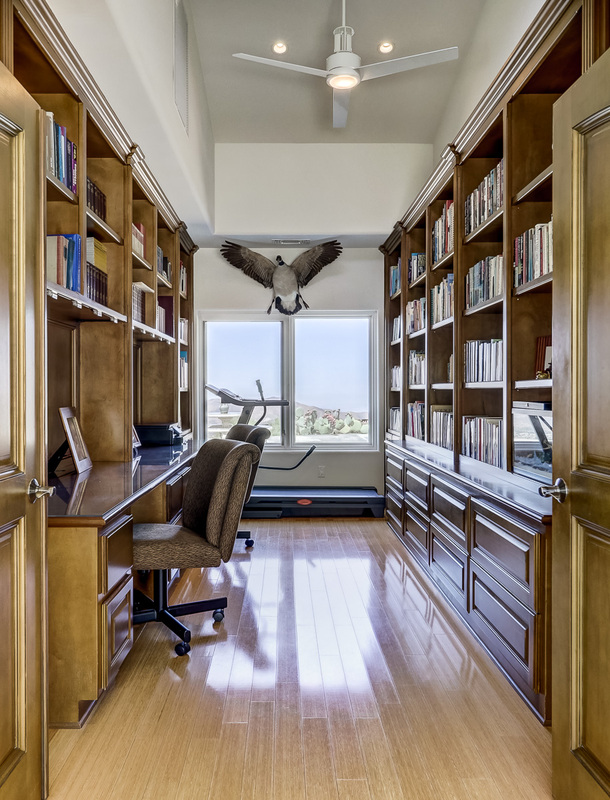 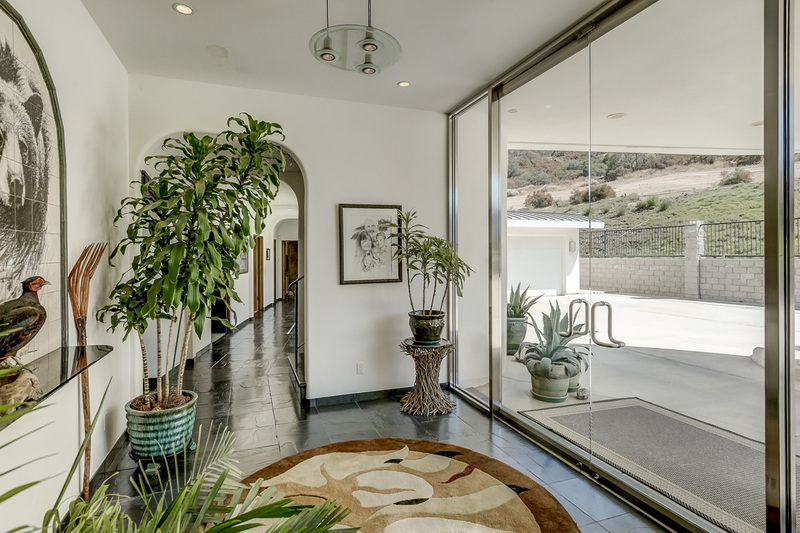 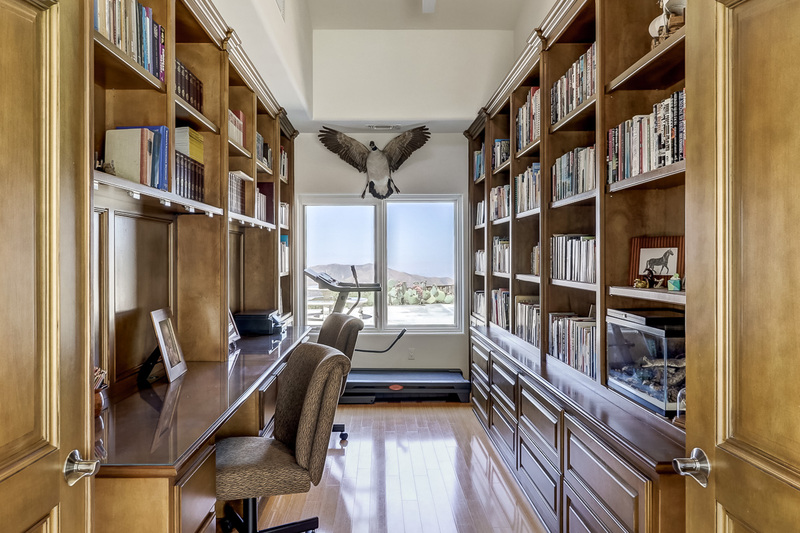 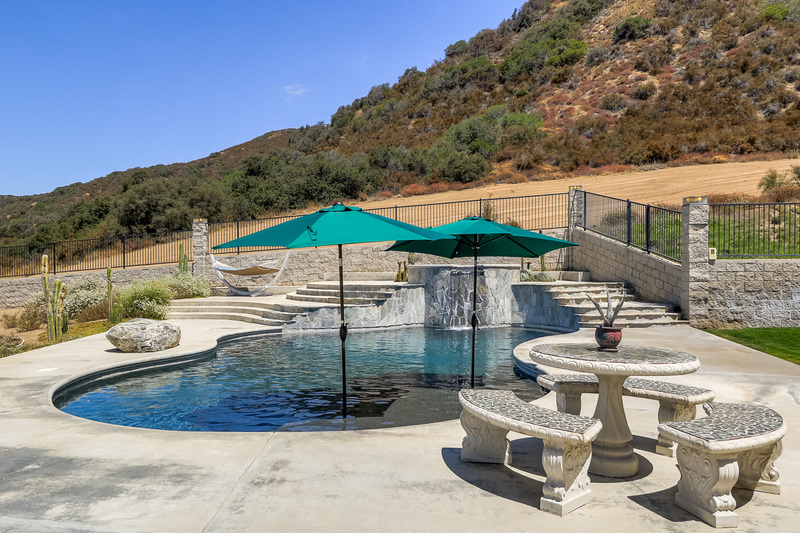 With its private meditation deck, sunset patios, library / study, media room, and thoughtful details throughout, this gentleman’s ranch is the perfect combination of elegant resort-style living with the solitude and groundedness of living close to nature. 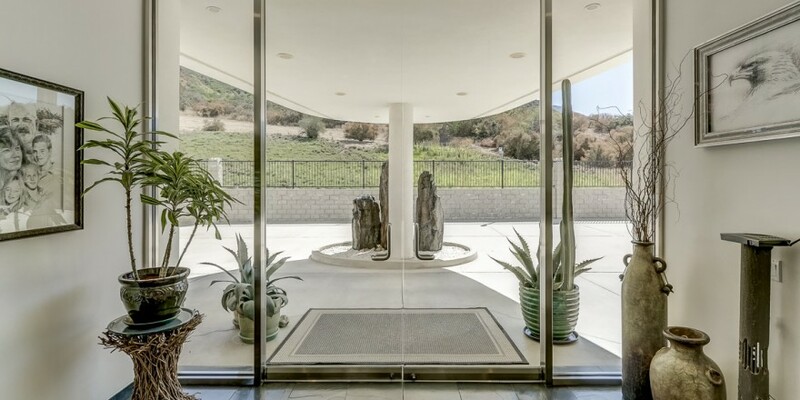 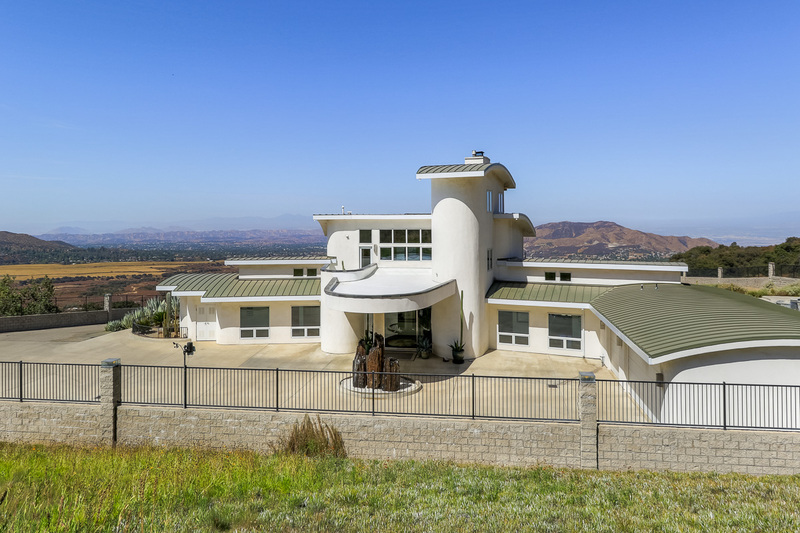 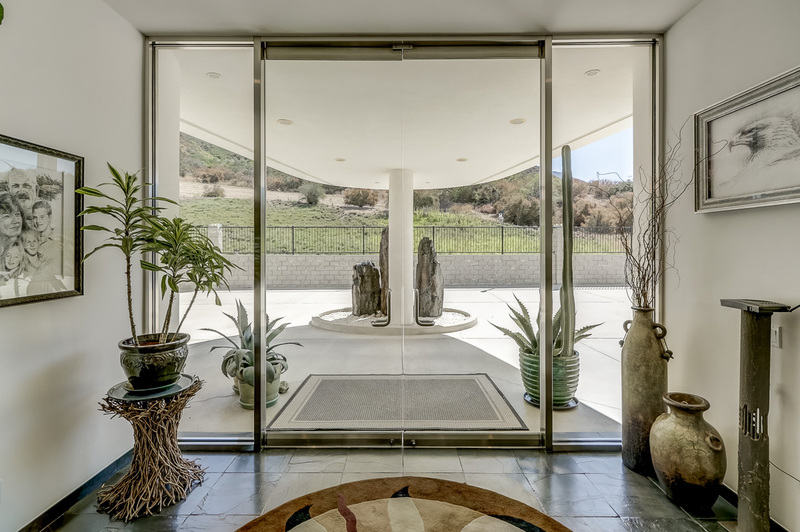 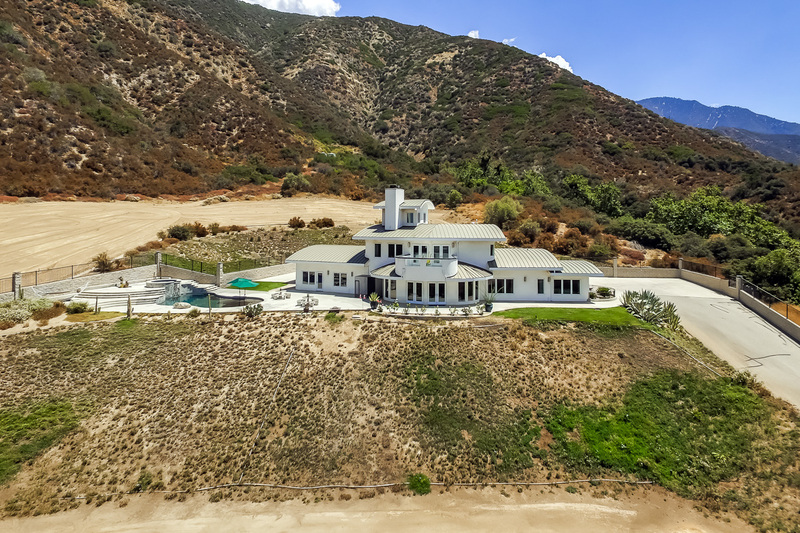 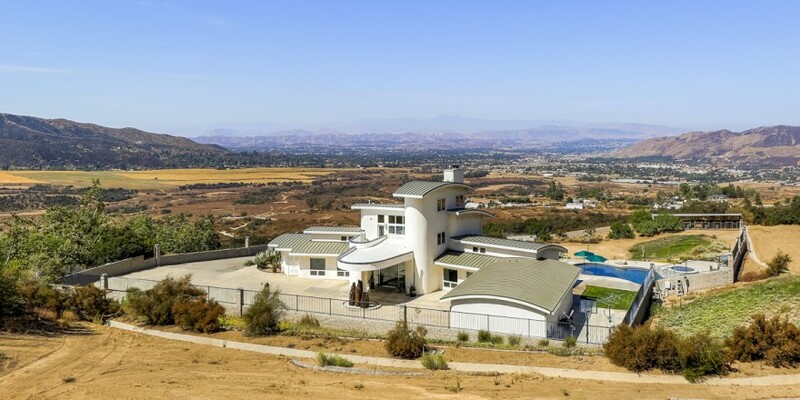 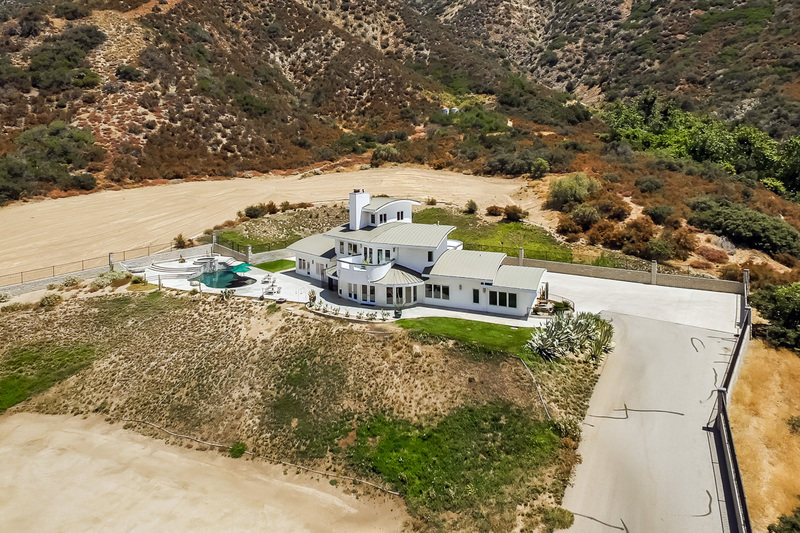 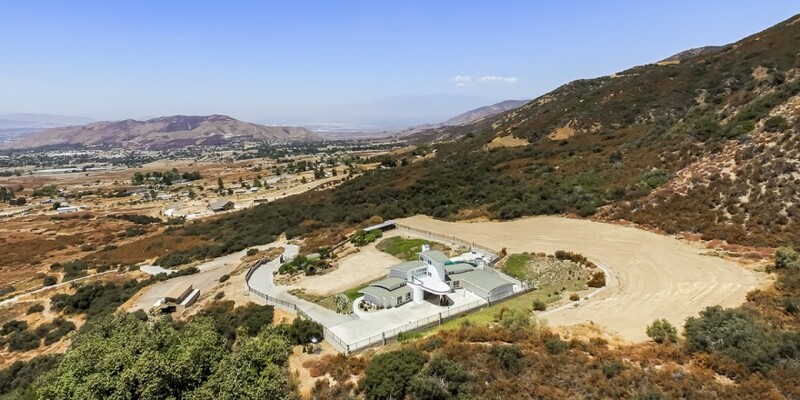 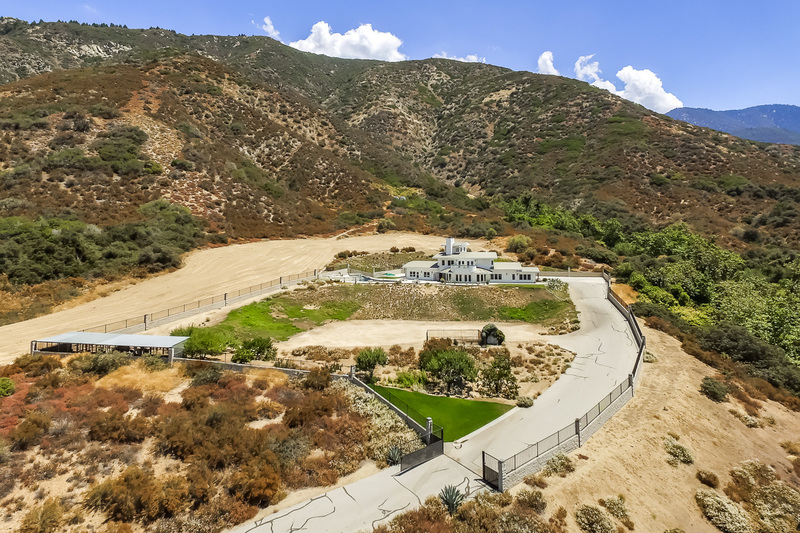 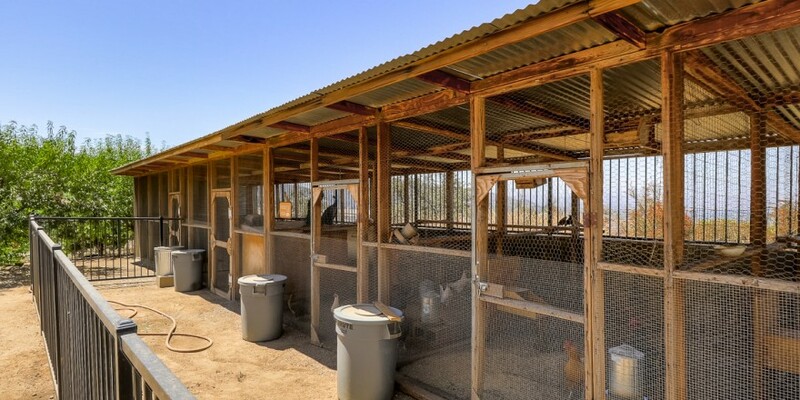 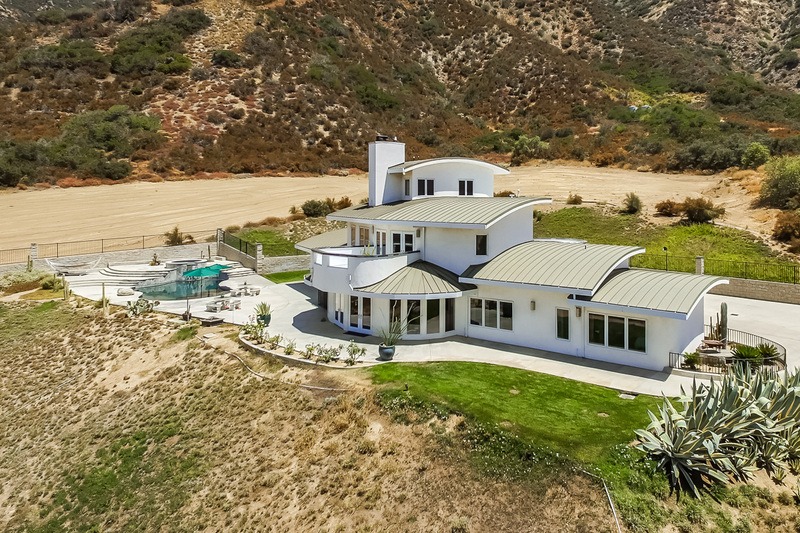 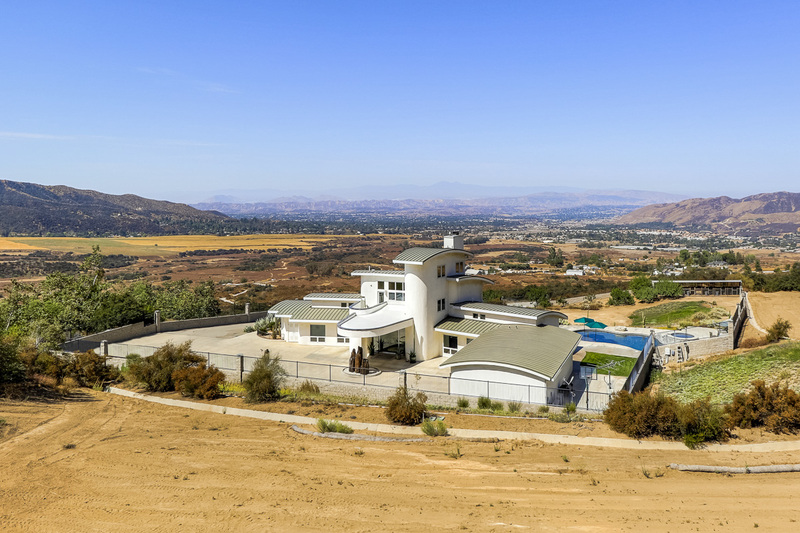 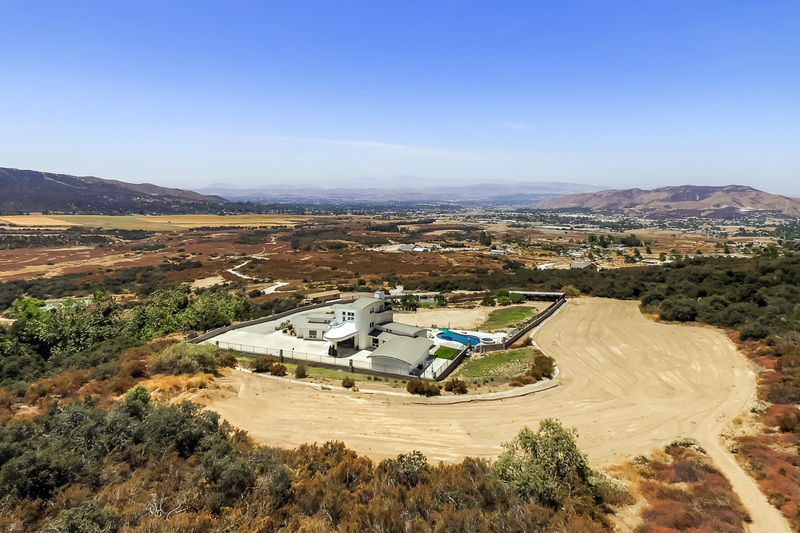 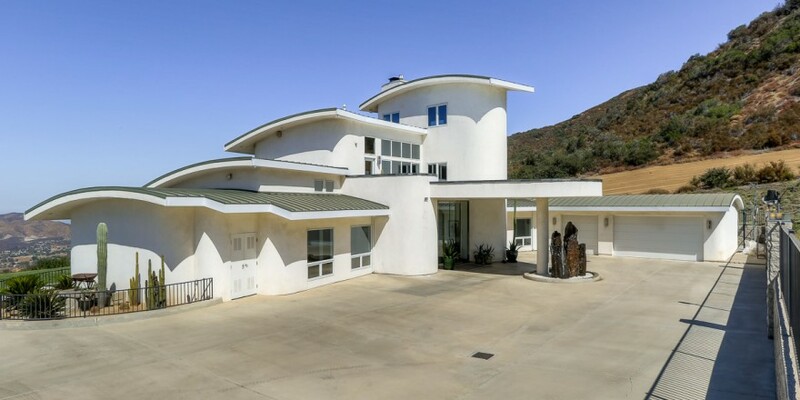 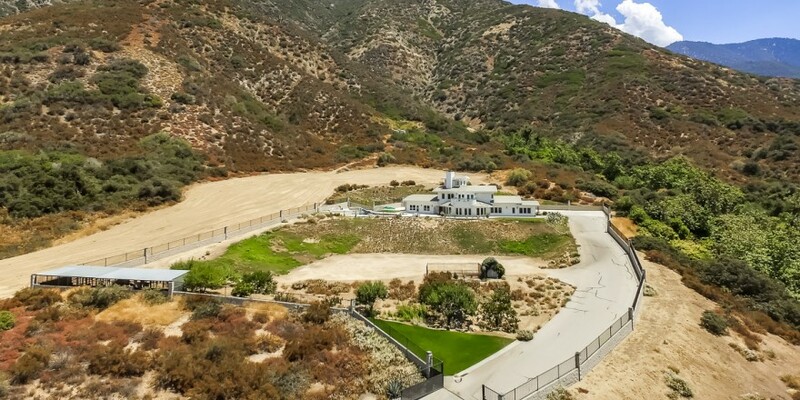 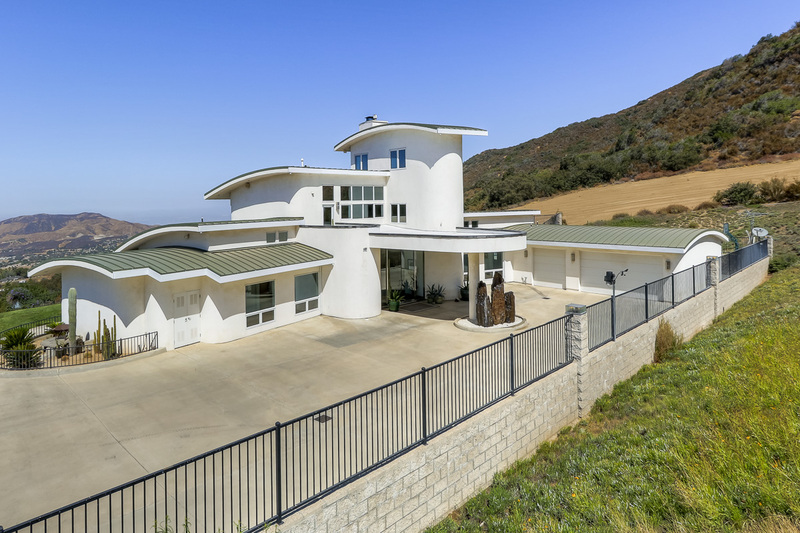 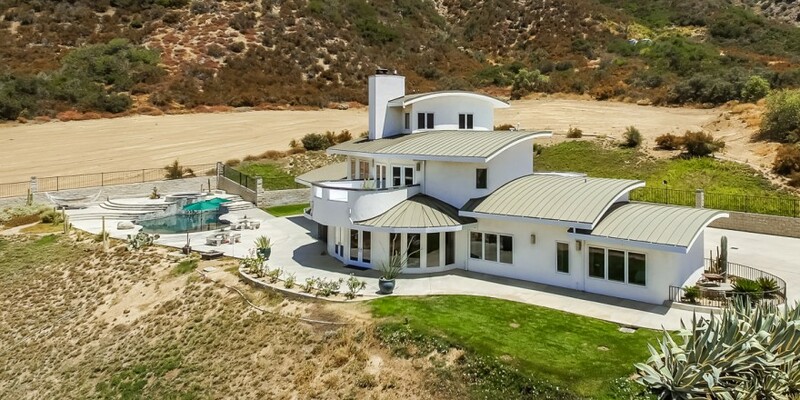 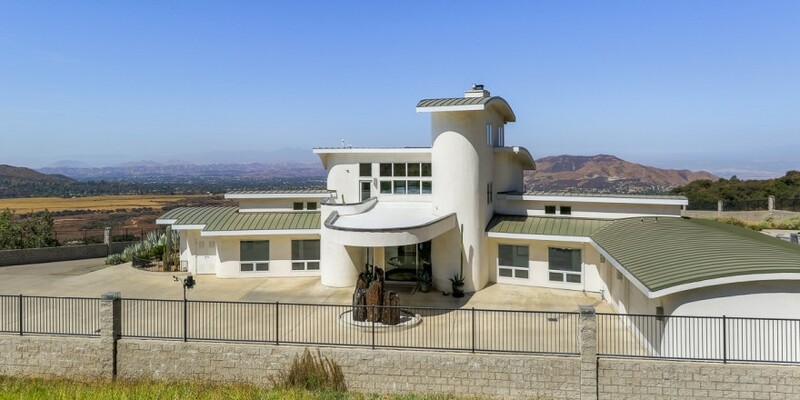 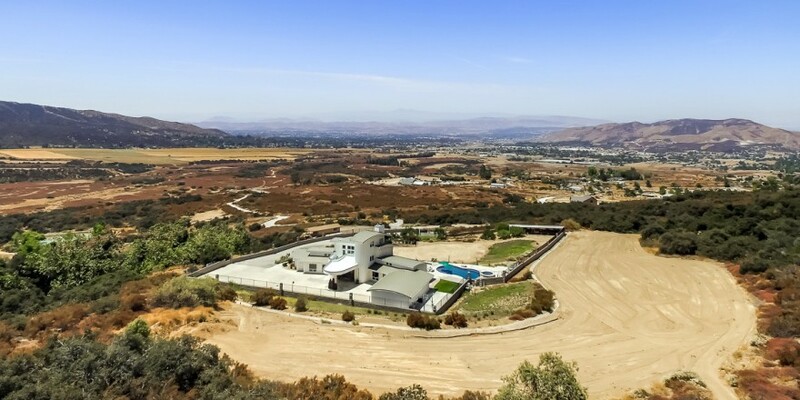 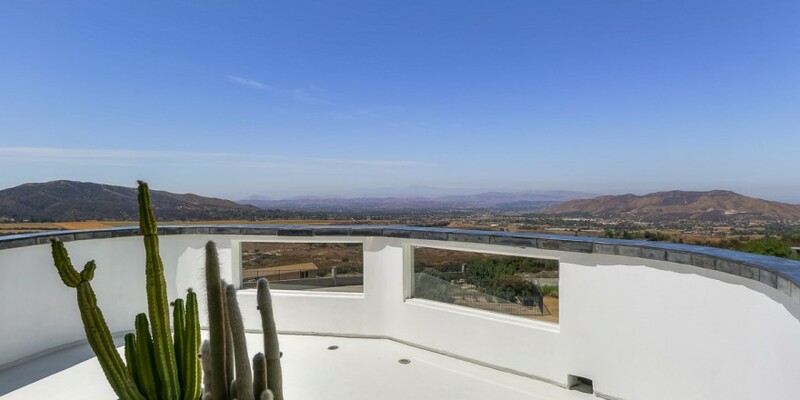 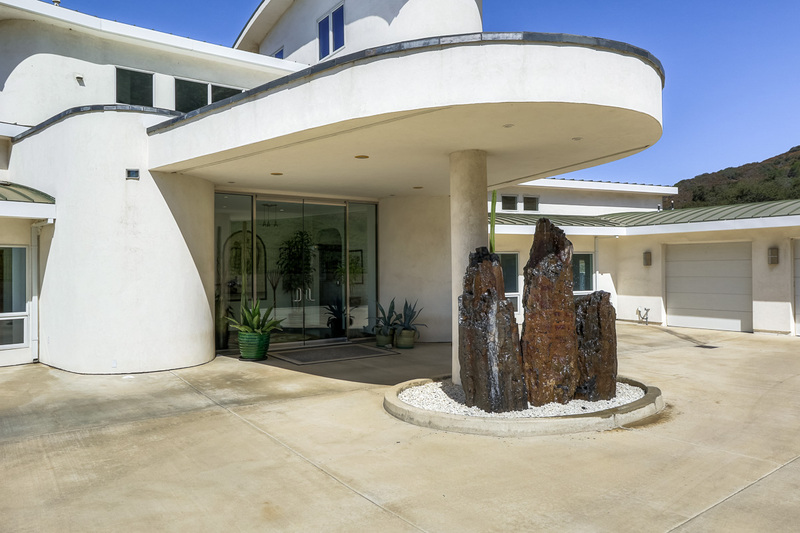 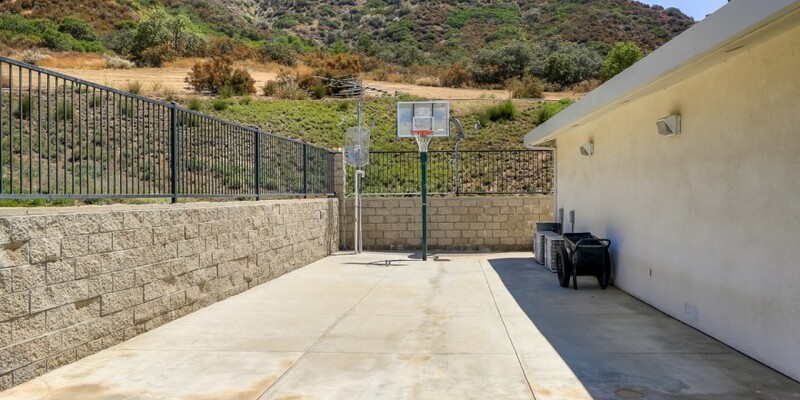 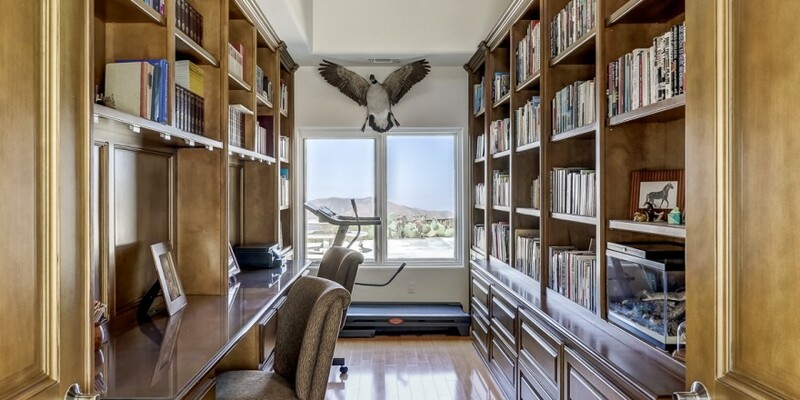 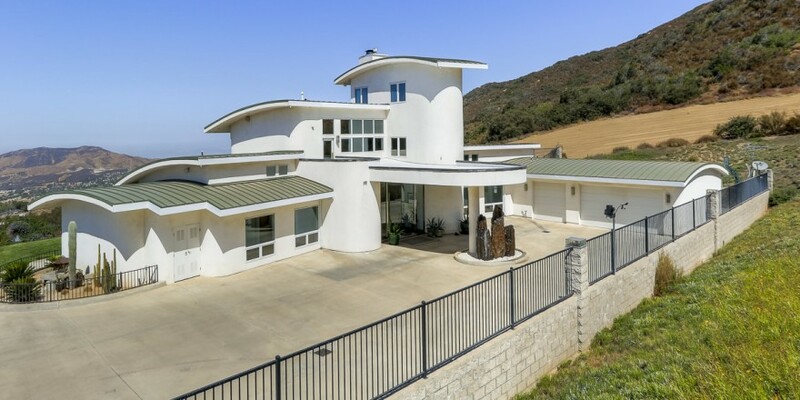 You will be hard pressed to find a property to rival this one in Southern California. 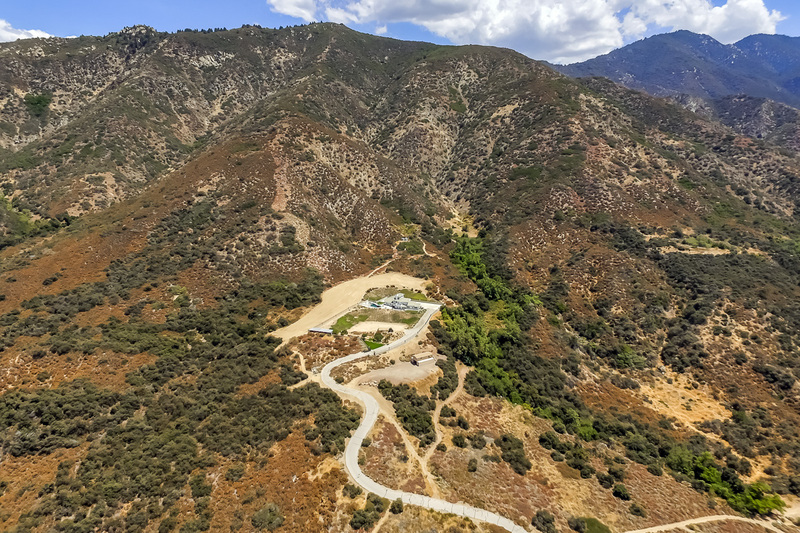 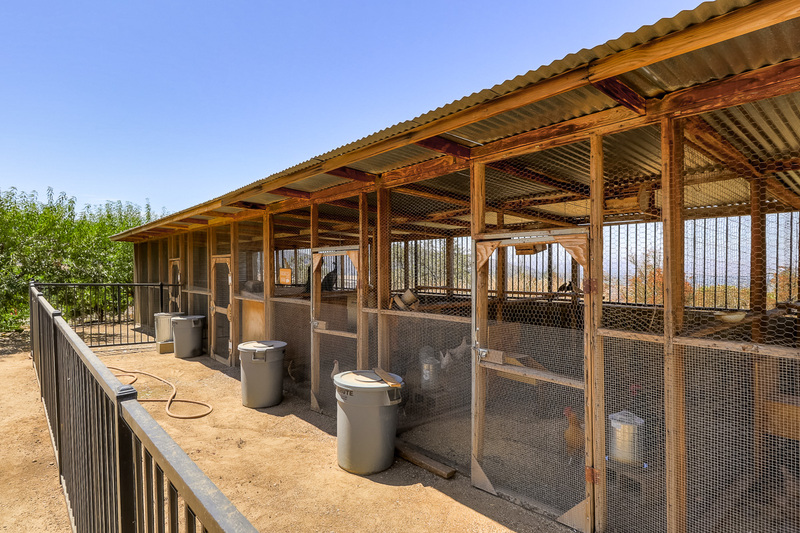 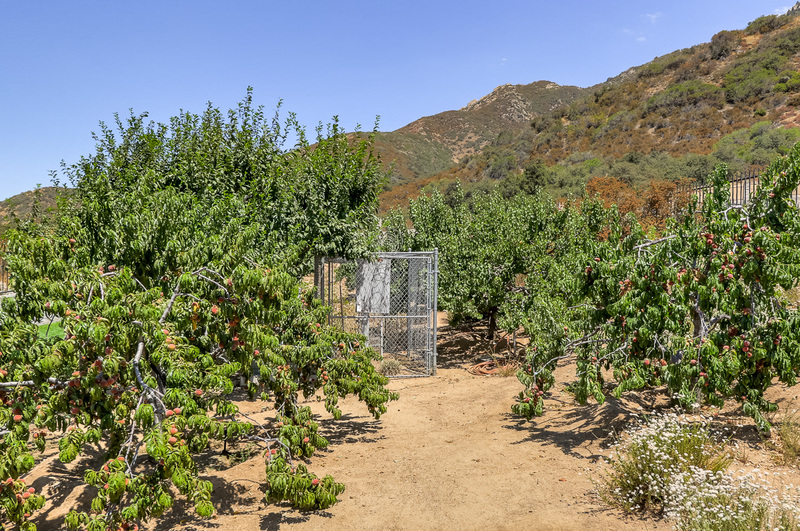 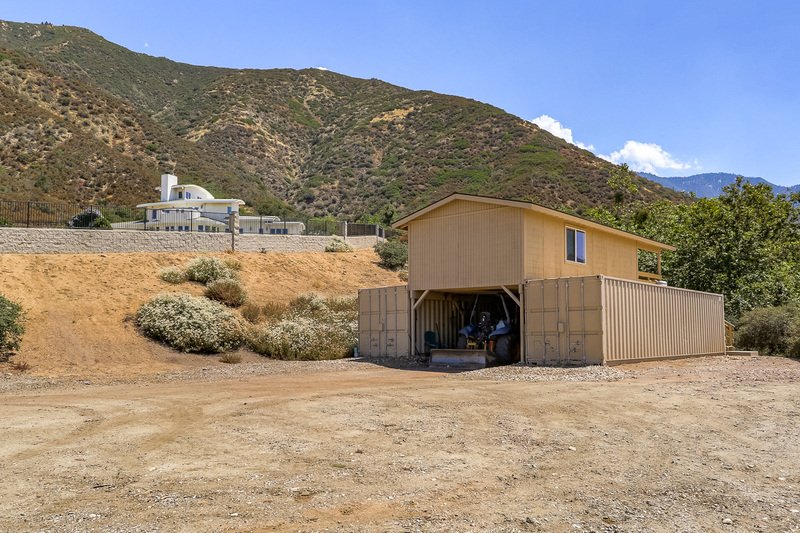 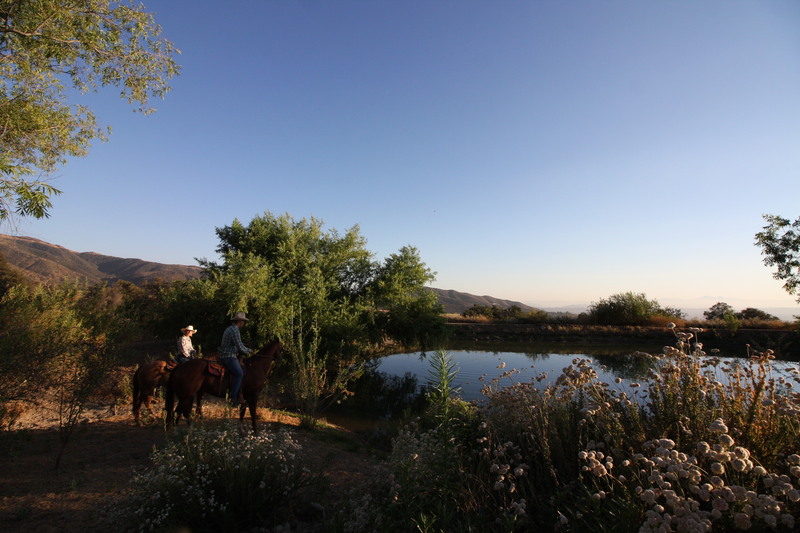 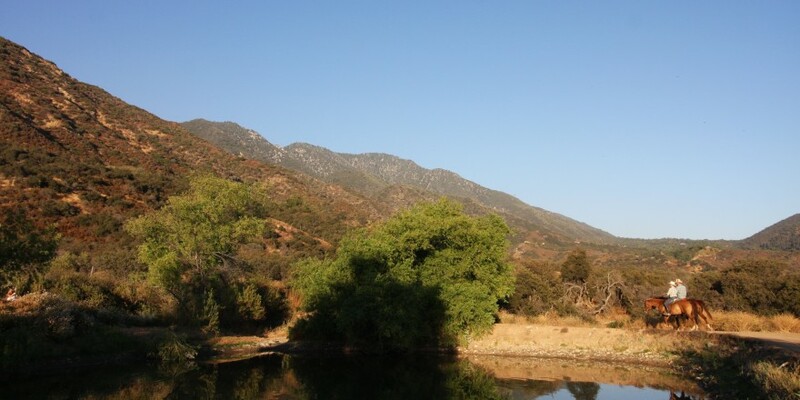 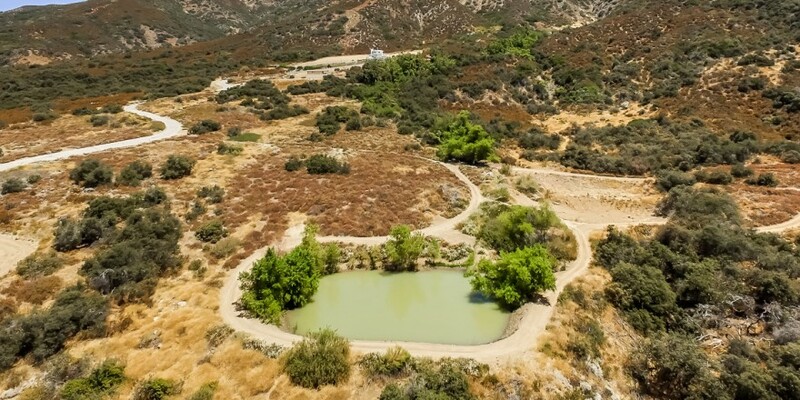 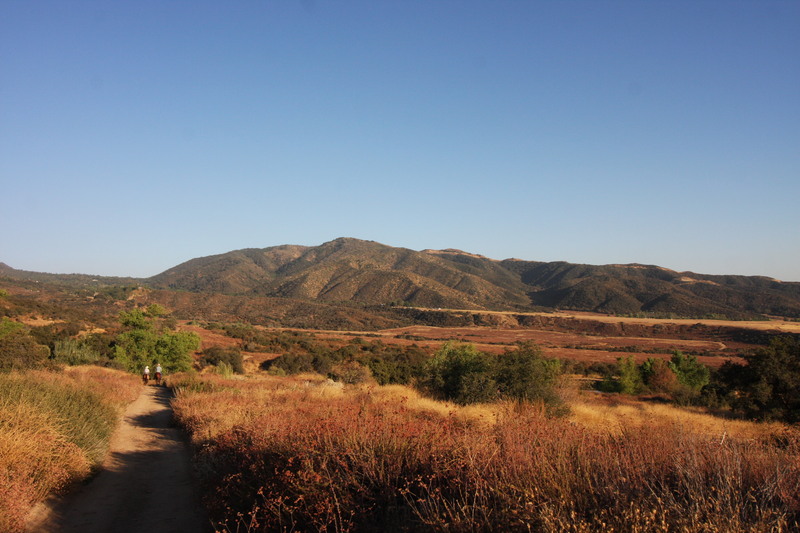 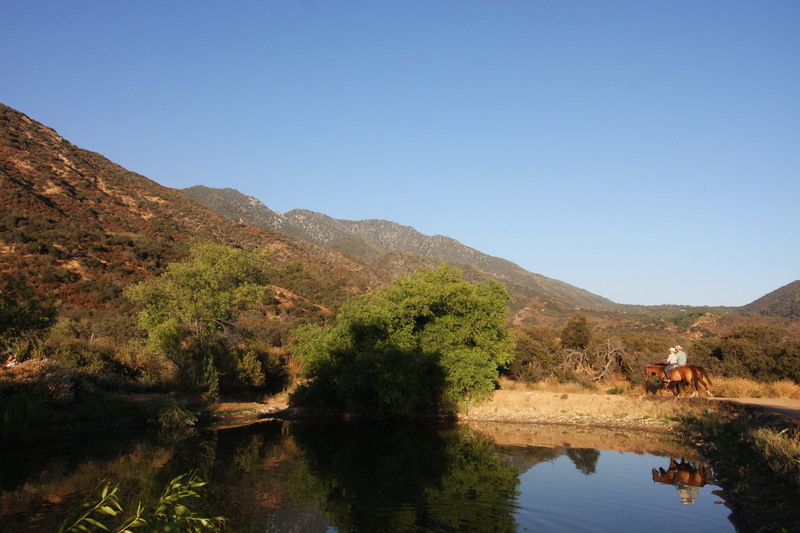 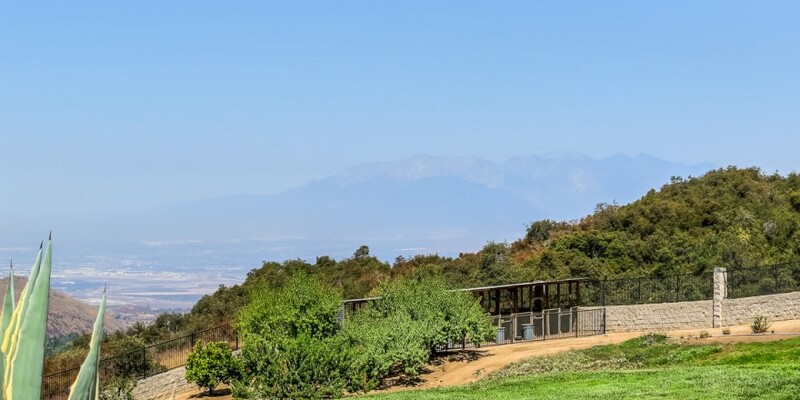 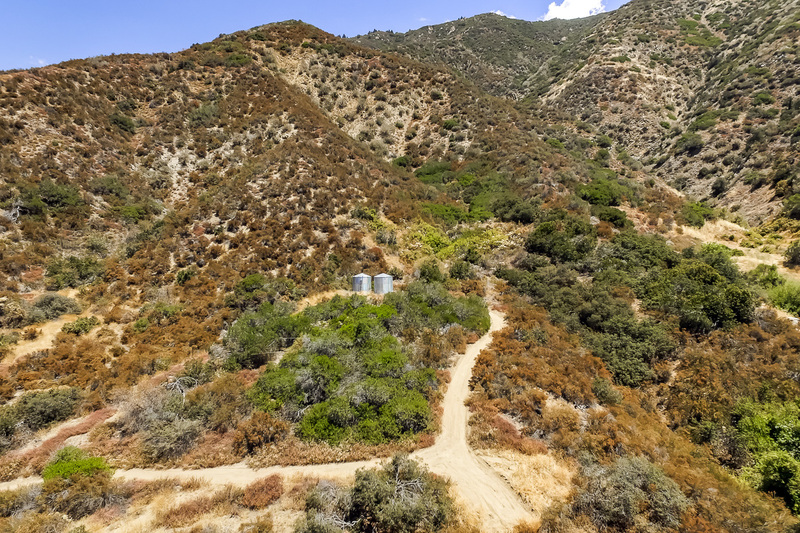 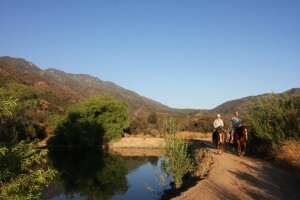 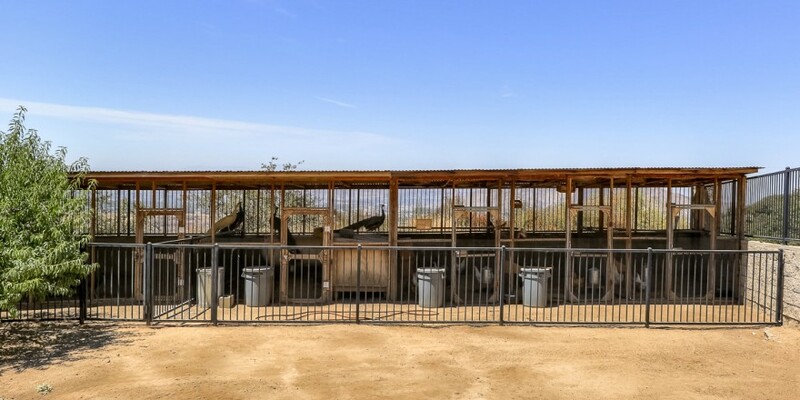 The 160-acre property has out-the-gate trail access to the San Bernardino National Forest as well as easy access to El Dorado Ranch Park. 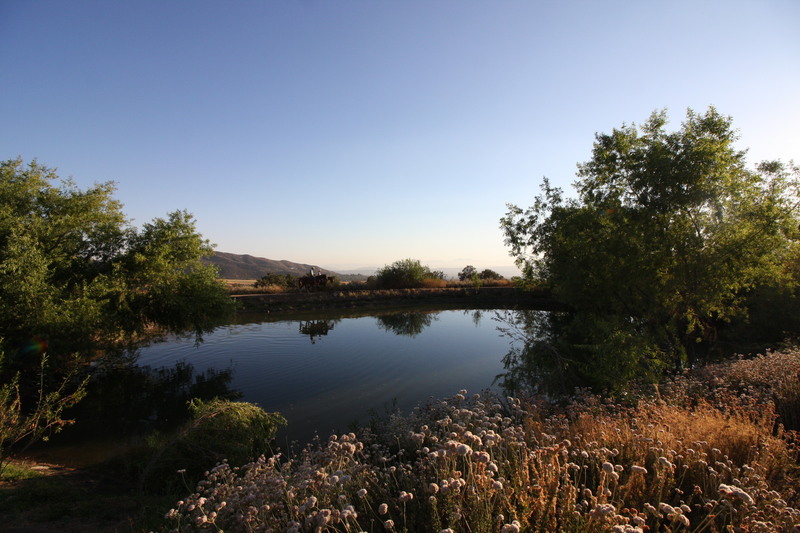 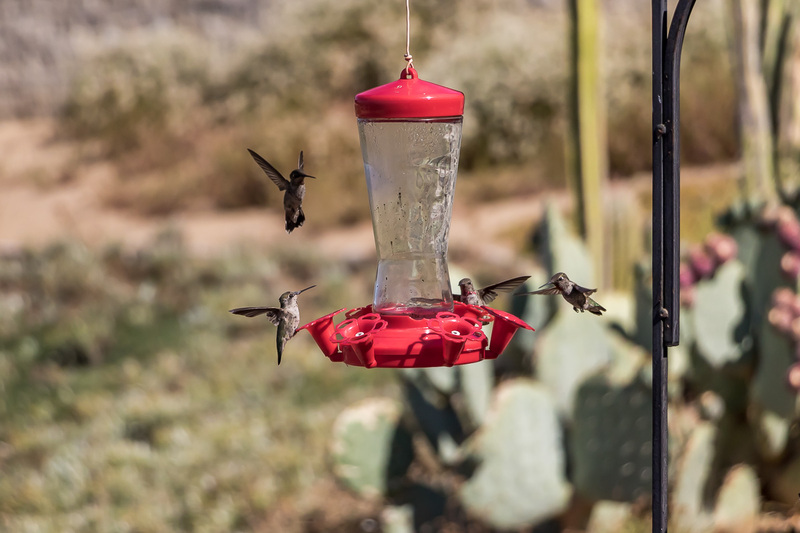 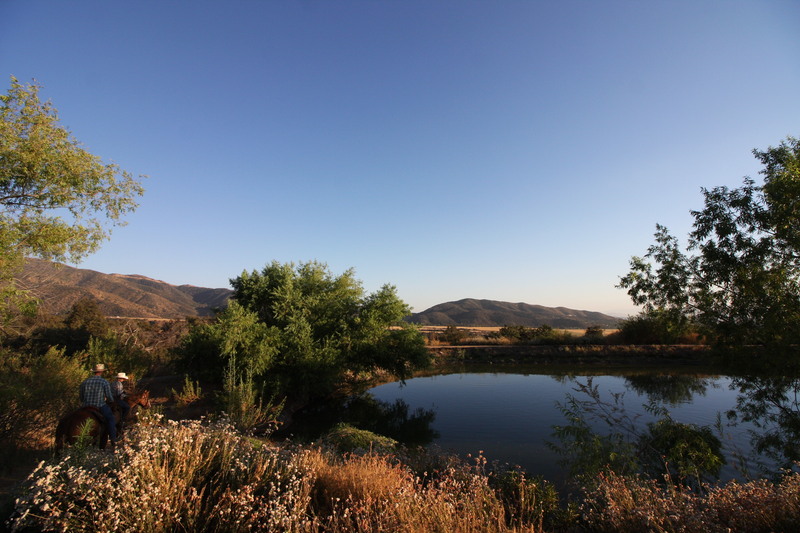 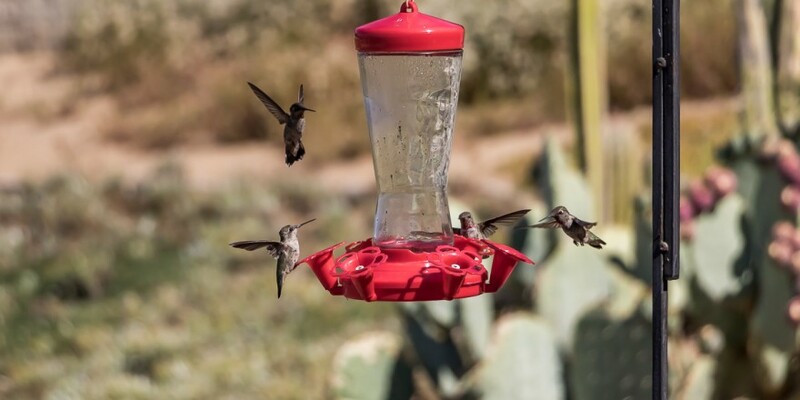 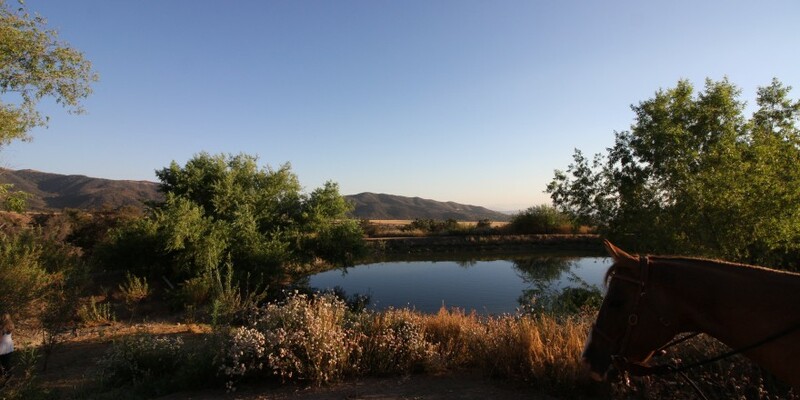 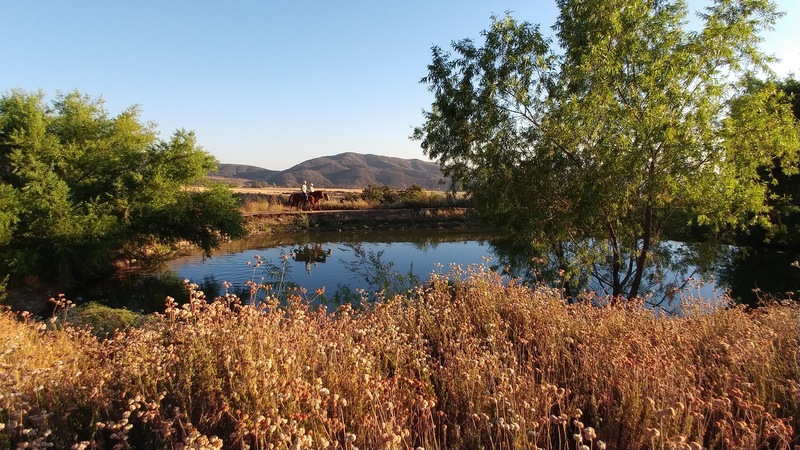 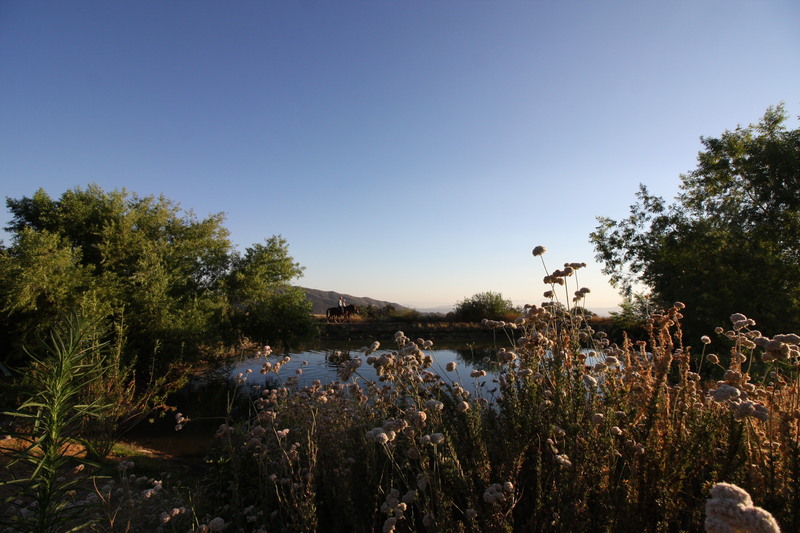 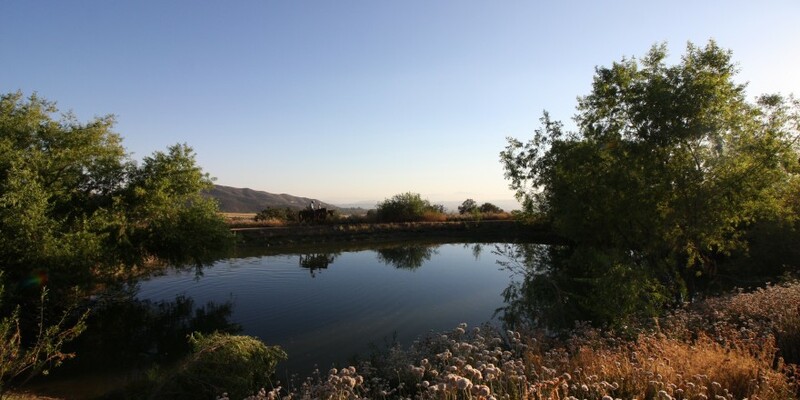 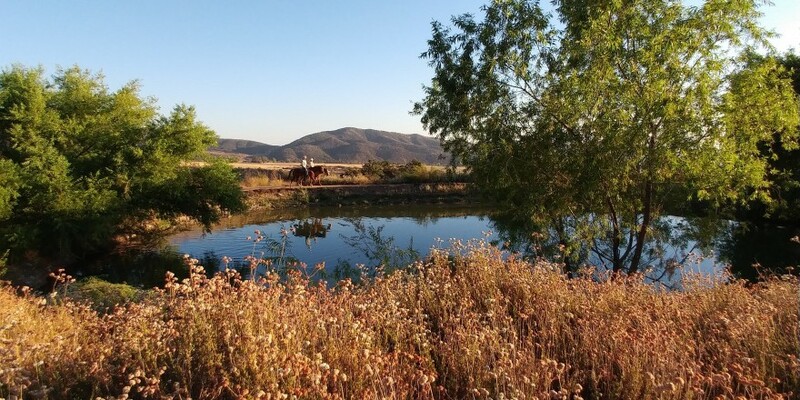 The high water table feeds a high-producing private well and an active springs feeds the private pond stocked with bluegill and largemouth bass. 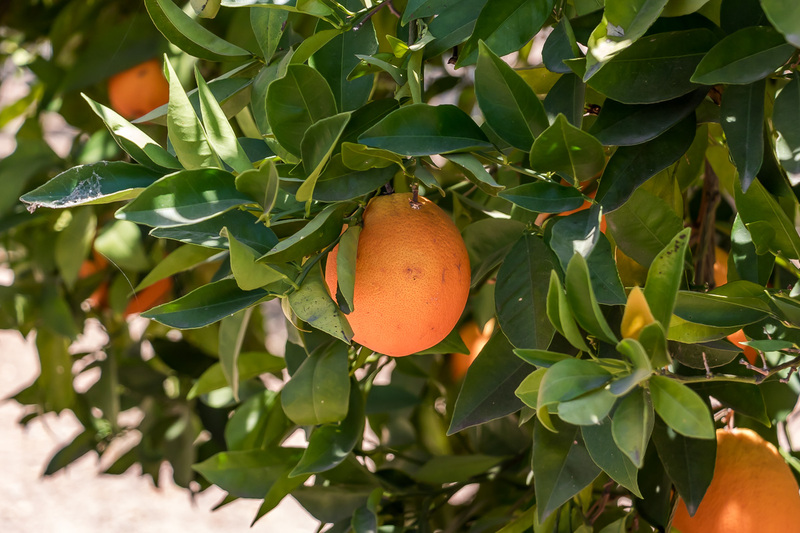 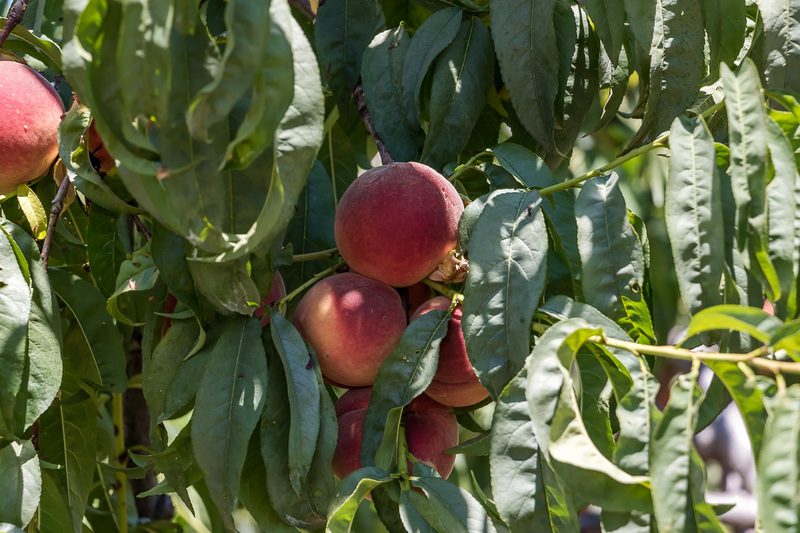 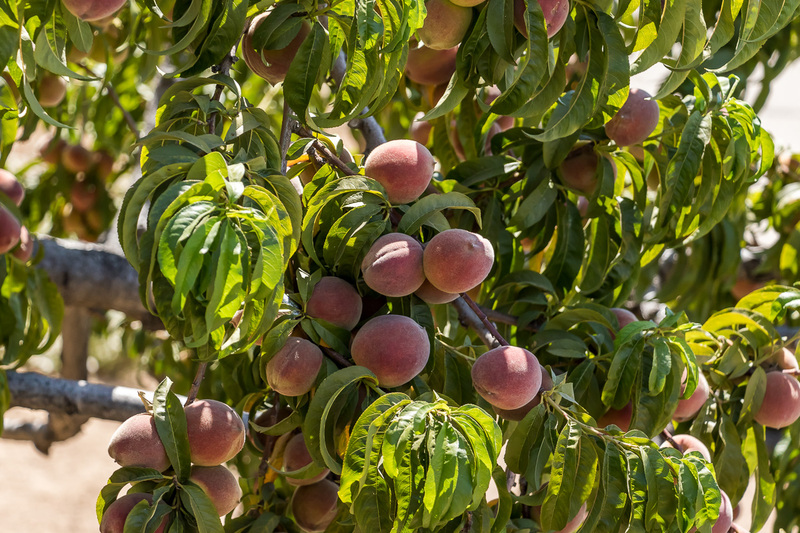 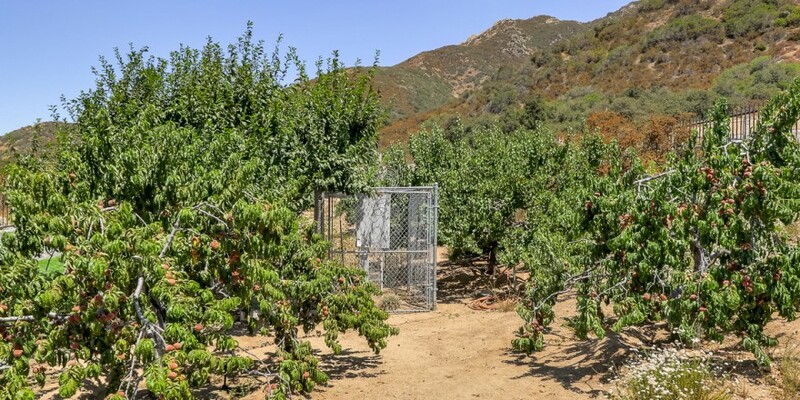 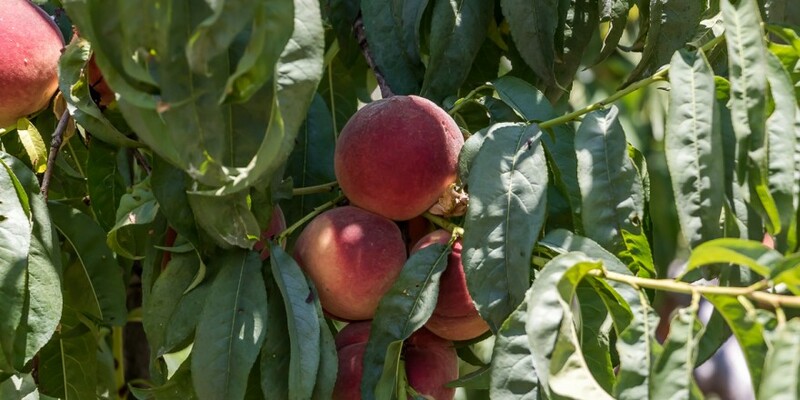 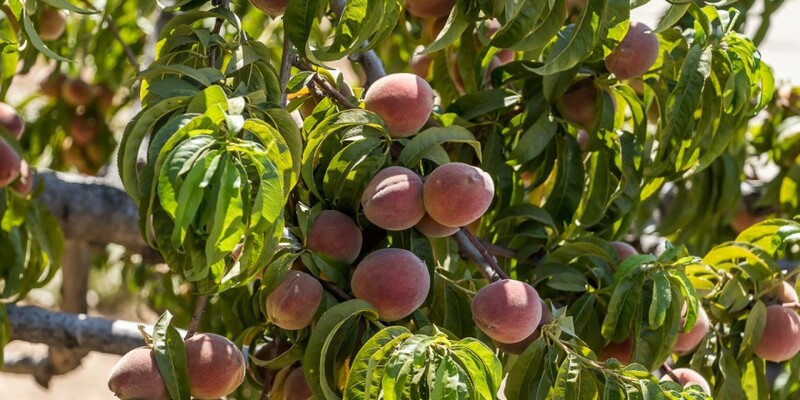 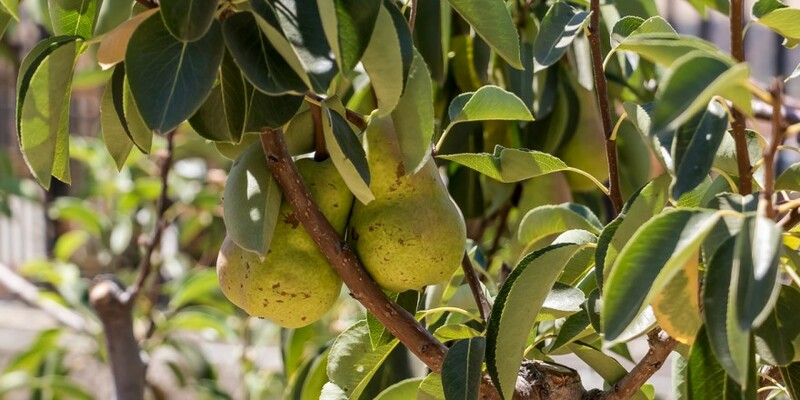 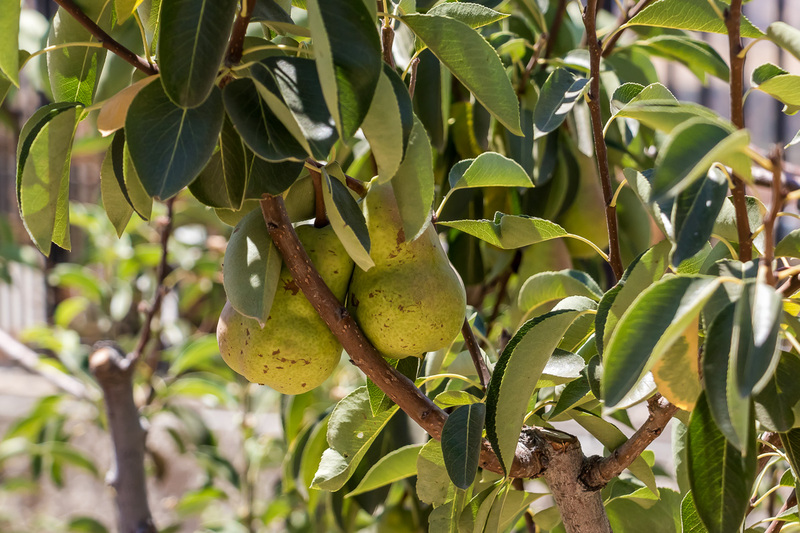 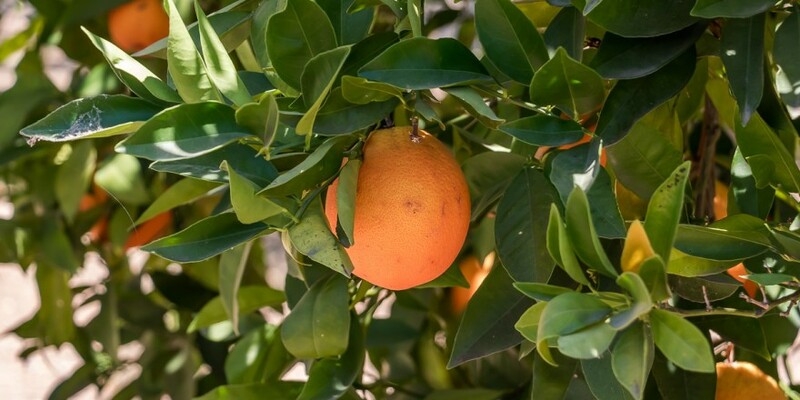 There is ample room for gardening and a variety of fruit trees that are already established and producing. 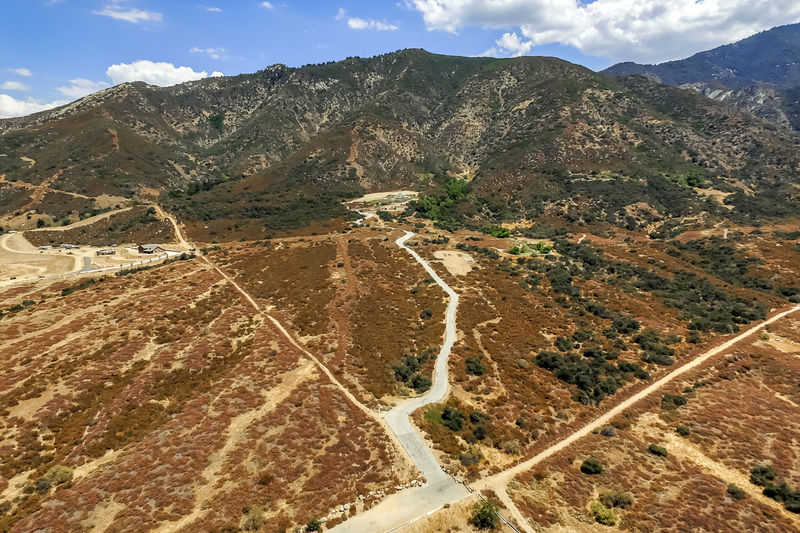 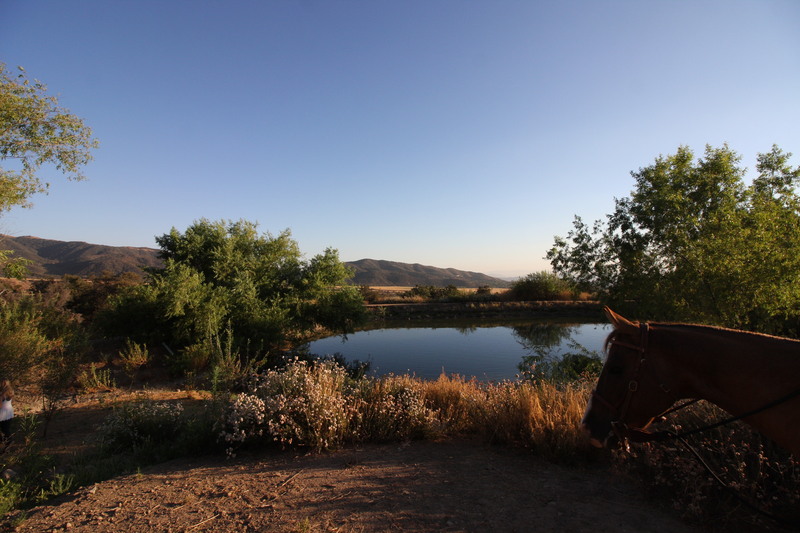 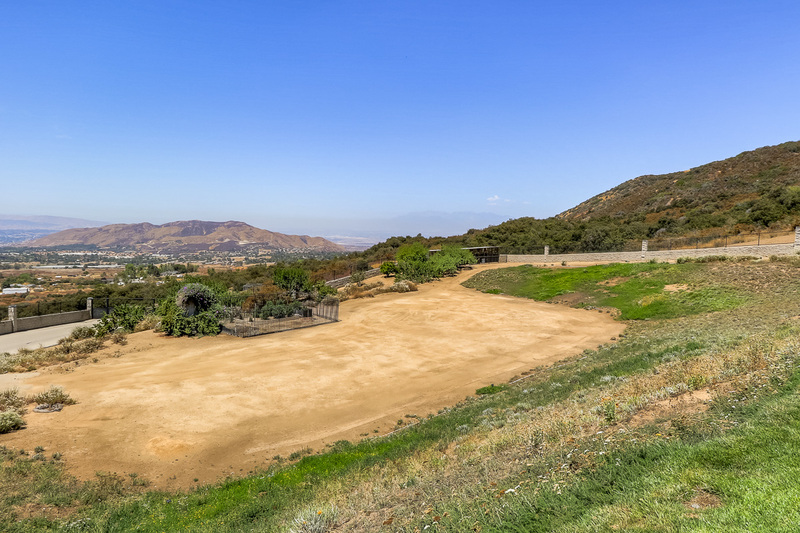 The back of the property has already been graded to accommodate a large equestrian facility that might include a barn, cowboy house, arena, turn-out and exercise space; or turn it into a bike course, golf course, helipad, or practice field — unleash your imagination! 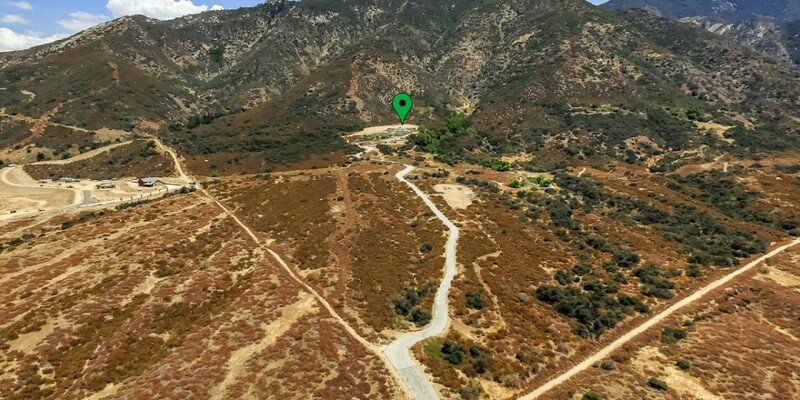 The property may also be subdivided. 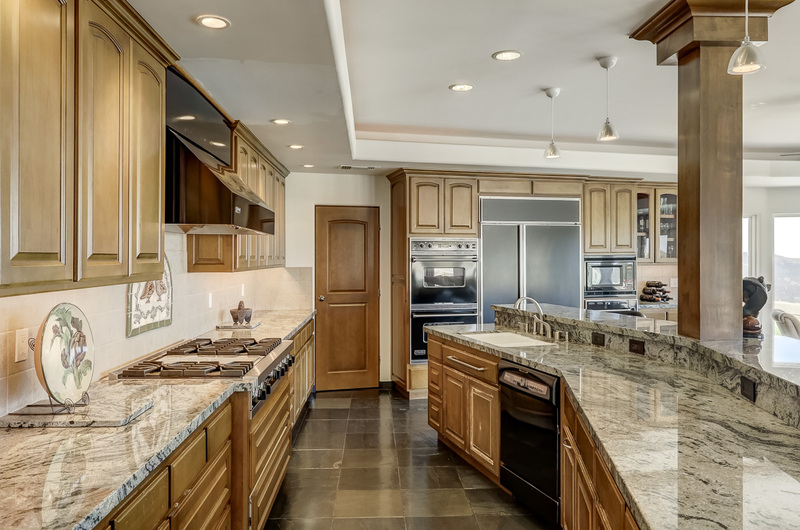 The availability of properties of this caliber are generational and increasingly harder to come by. 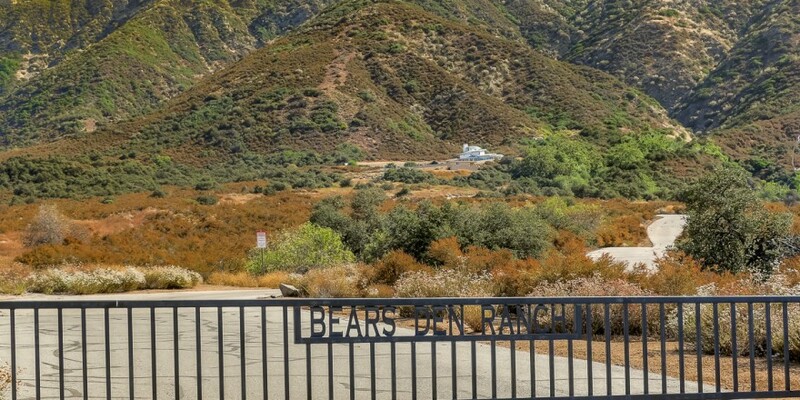 This is your opportunity to make Bear’s Den Ranch part of your future.